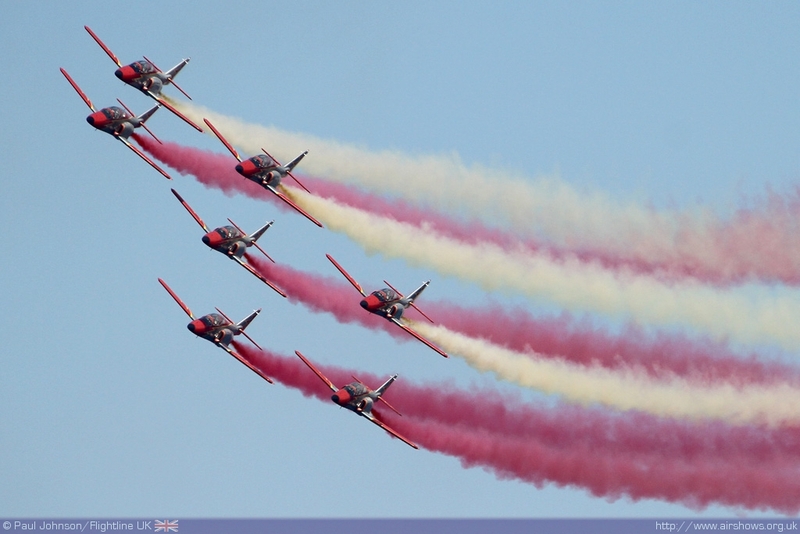 Festa al Cel is Spain’s largest and oldest airshow. 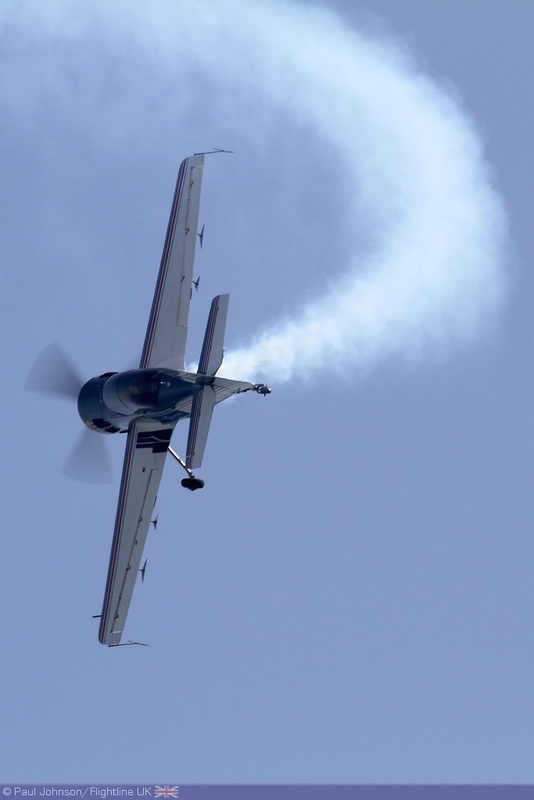 This year the show celebrated its own 20th anniversary which has seen it grow from modest beginnings into one of Europe’s most exciting airshows. 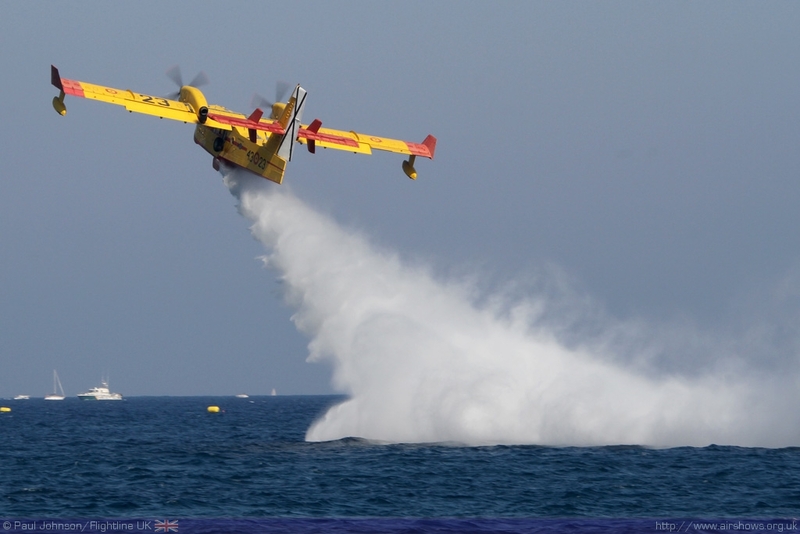 Taking place along Mar Bella and Nova Mar Bella beaches, the flying displays are truly international and 2011’s display saw participation from Spain, Belgium, France, the Netherlands, Russia, Switzerland and the UK. 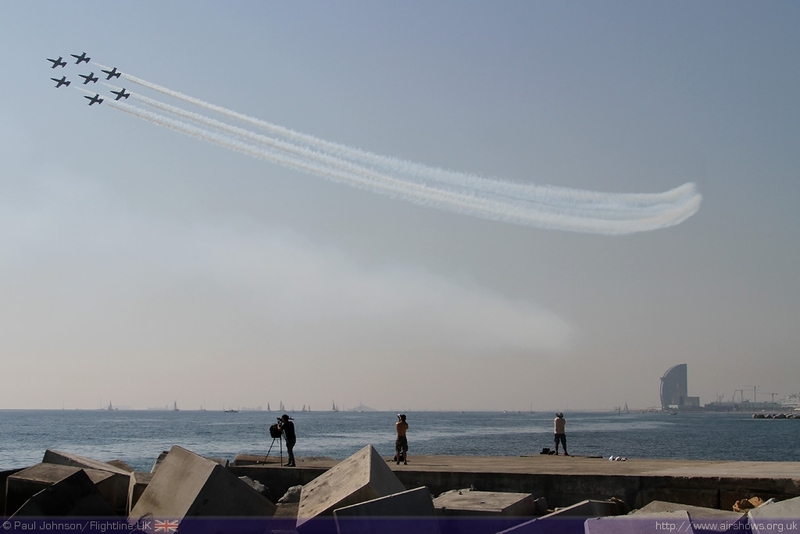 The Mediterranean Sea and the city of Barcelona provide a wonderful backdrop for the air displays which this featured aerobatic champions, four international jet formation teams, fire-bombing and Search and Rescue demonstrations plus military fast jets. 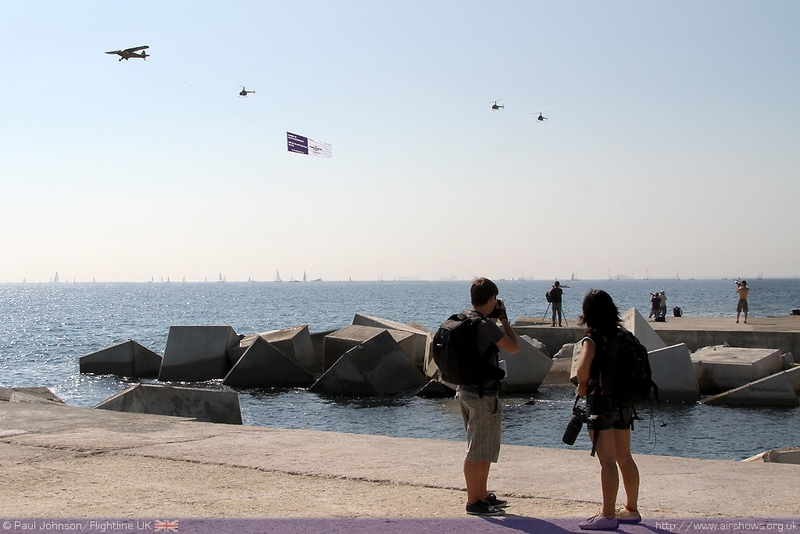 I first visited Festa al Cel last year and it immediately caught the imagination. 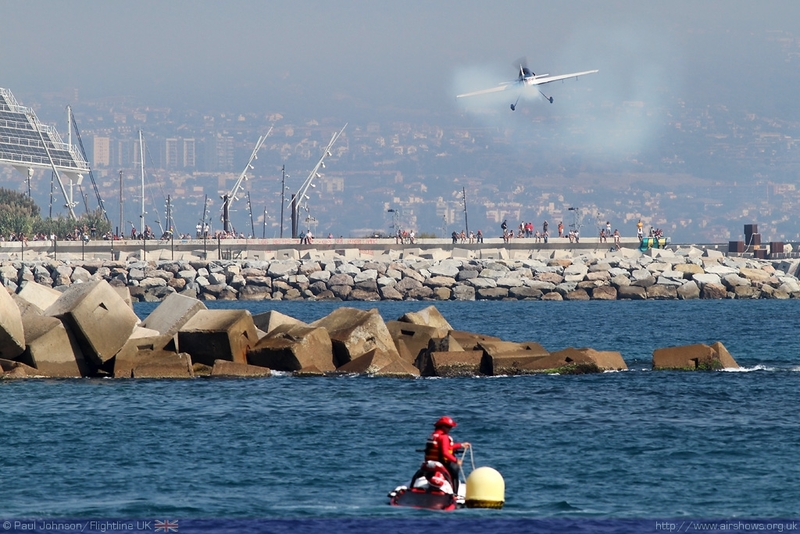 The mix of some late summer Mediterranean warmth, fantastic city and varied flying made it one of the stand out shows for me and one that I knew I had to revisit! 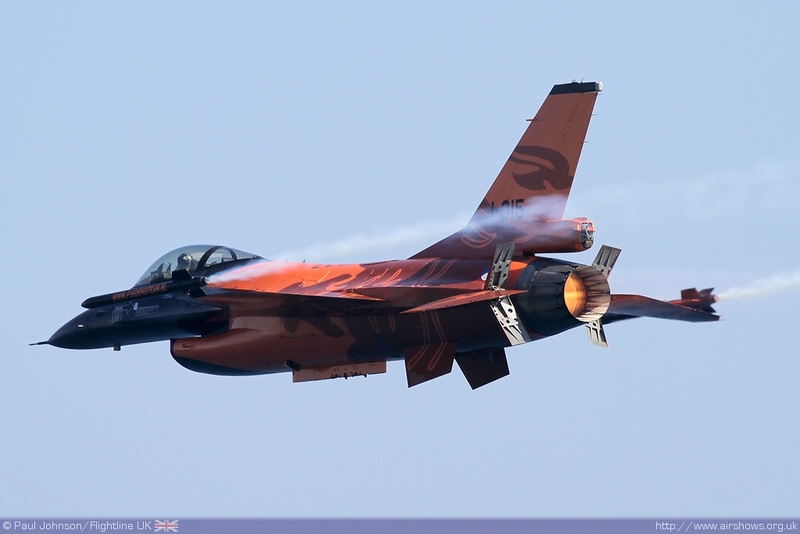 2011’s edition of the event was however quite different. 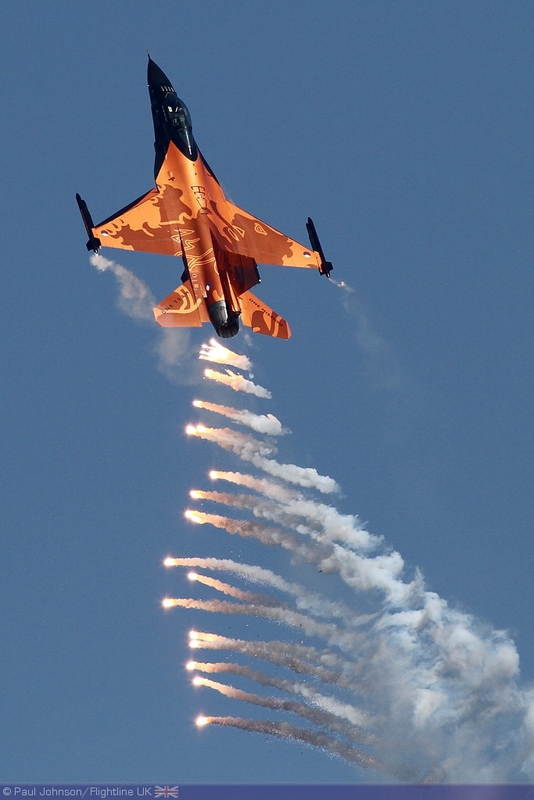 Rather than two days, the show reverted to its more traditional single day format. 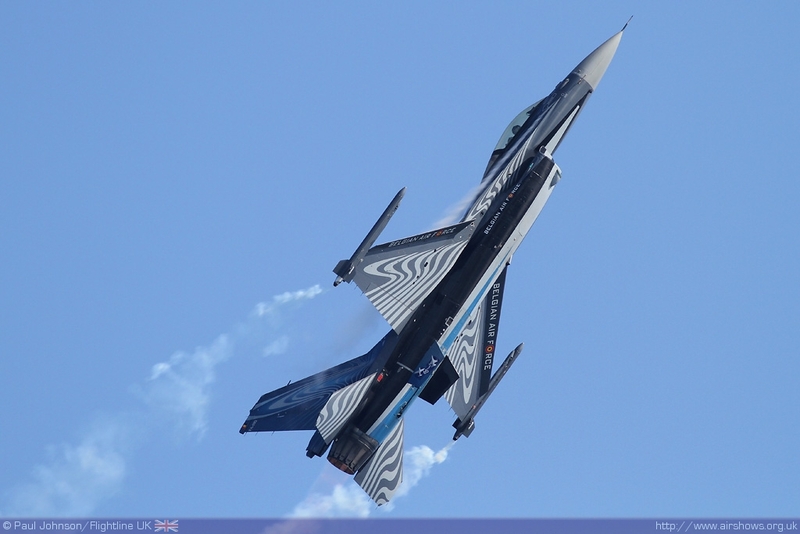 However, this year’s show did see a superb line-up of international participants including some of Europe’s biggest jet display teams to celebrate Festa al Cel’s 20th anniversary. 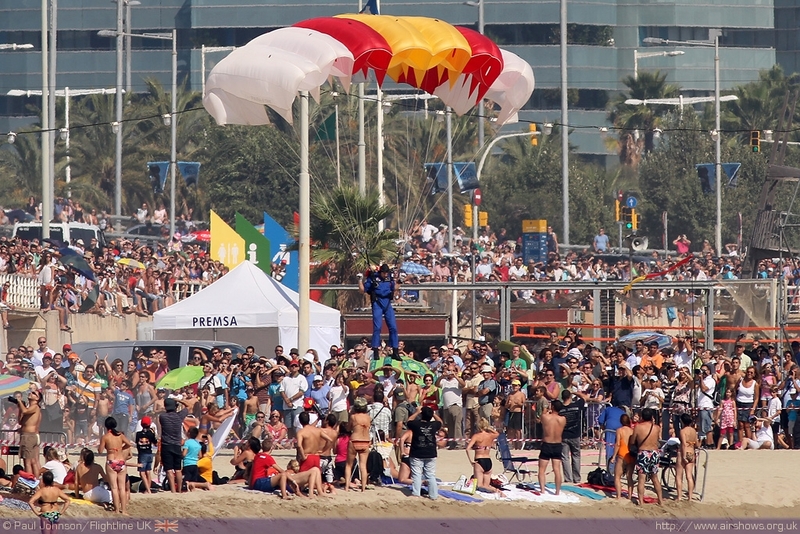 The event can trace its beginnings to festivities held on the beaches of Barcelona in the early 1990’s to celebrate their restoration. 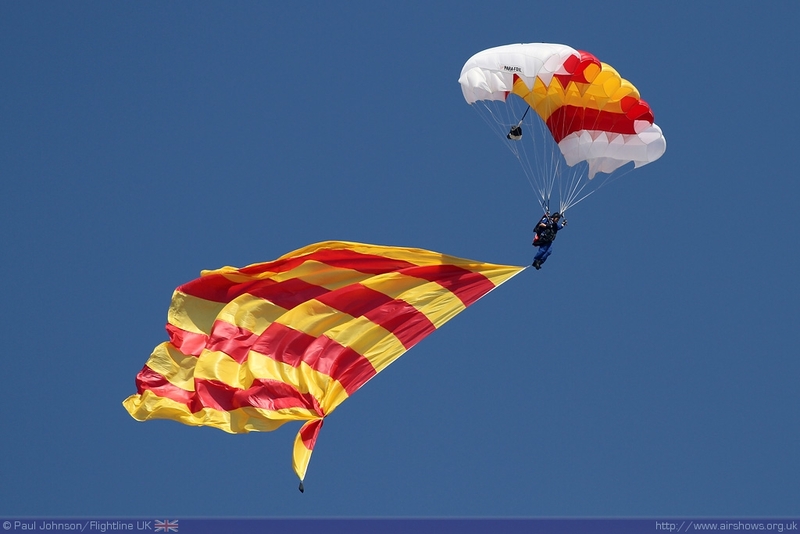 These events at first including Kite flying, but soon incorporated radio-controlled model flying displays as well as appearances by Aero Club Barcelona-Sabadell which still supports the event today. 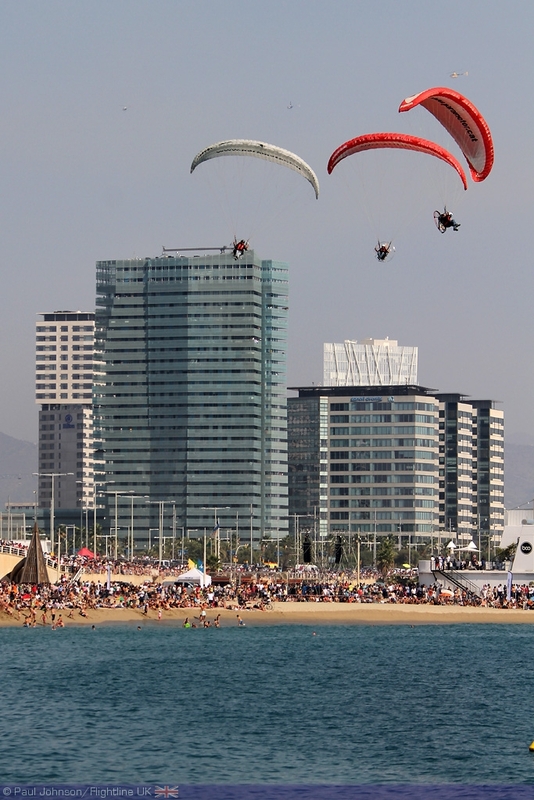 The first Festa al Cel was held in 1992, the same year as the city hosted the Olympic Games. 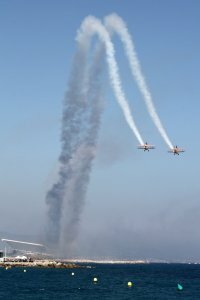 Like similar ‘seaside airshows’ in the UK, Festa al Cel is organised by the Barcelona City Council (Adjuntament de Barcelona.) 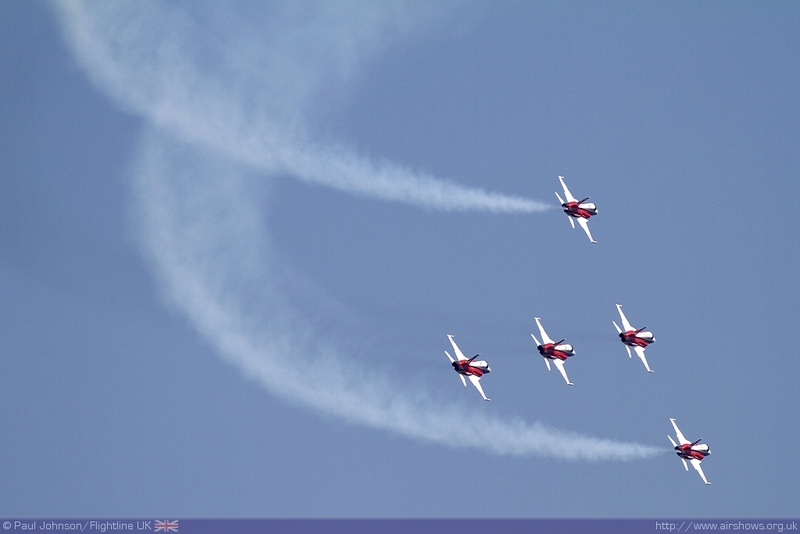 Not only does the event attract visitors to the city, it also provides a showcase for the local aerospace industry. 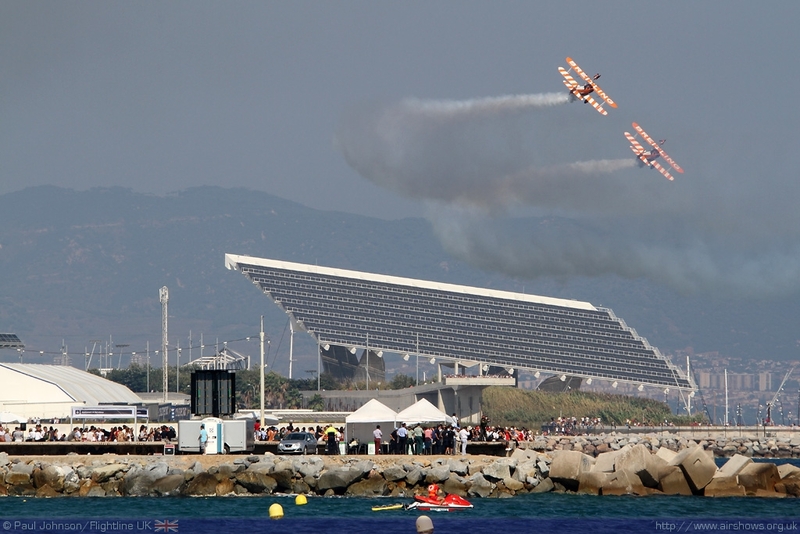 The aerospace industry is represented on the ground near to Port Olimpic at Moll de la Marina where there are a number of exhibitions held throughout the event covering everything from the local flying clubs and the Spanish Air Force through to Aerospace Technology Companies. 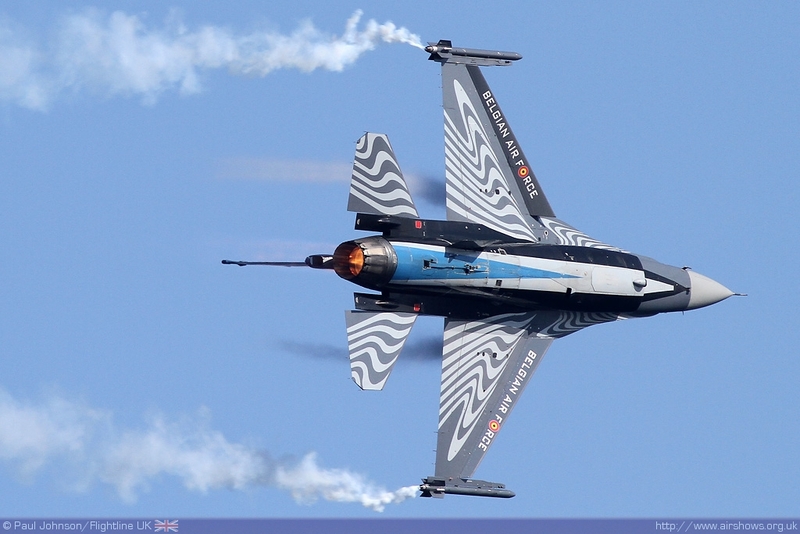 The flying displays are coordinated by the Aero Club Barcelona-Sabadell based at Sabadell Airport to the north-west of Barcelona. The airport itself is one of two bases used for the airshow. 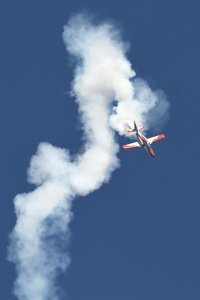 Due to its relatively small size, Sabadell hosts many of the smaller and lighter aircraft participating in the show, but it does host its own open day to coincide with the show allowing visitors to get up close with some of the participants on the ground as well visit the wonderful facilities of the Aero Club and other exhibiting organisation. The faster and heavier participants base themselves at the main Barcelona Airport. While it does not open to the public, anyone travelling via EasyJet gets a wonderful view of some of the participating aircraft on arrival or from departures as they use the same ramp space! 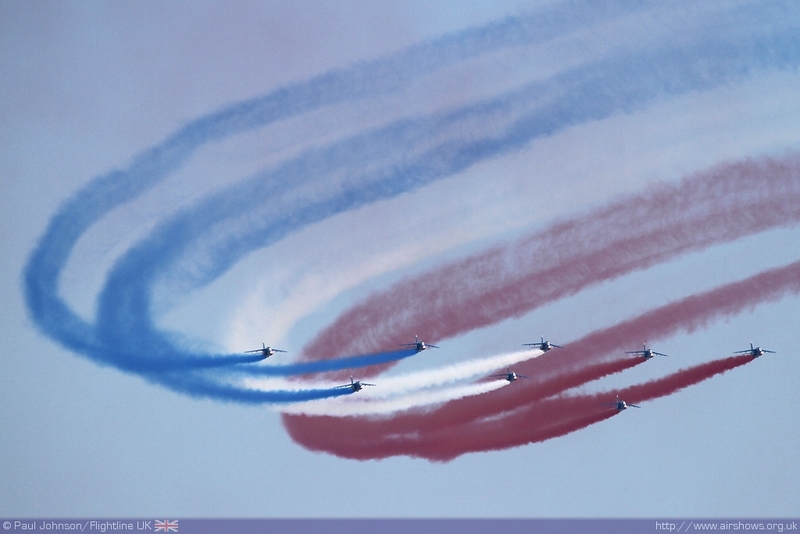 The setting for the airshow is nothing short of stunning. The city is famed for its architecture and there some quite amazing constructions along the seafront. 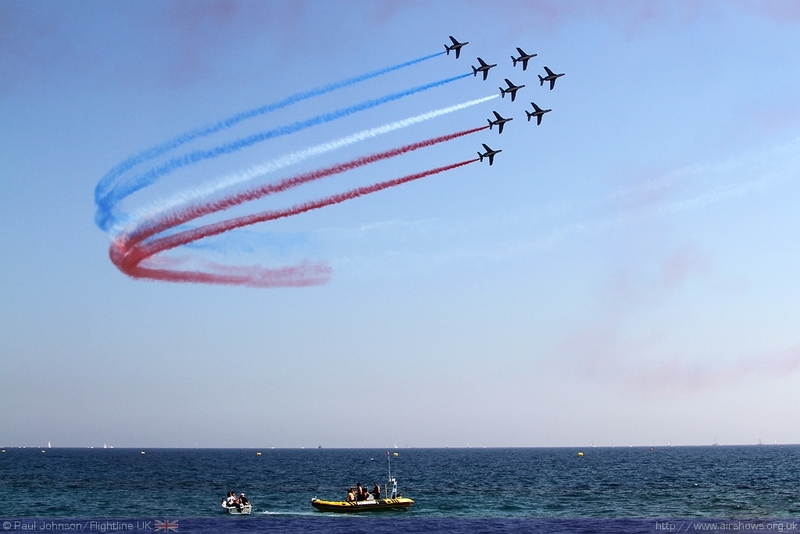 When combined with a flotilla of small boats and yachts watching the show it makes for an impressive arena! 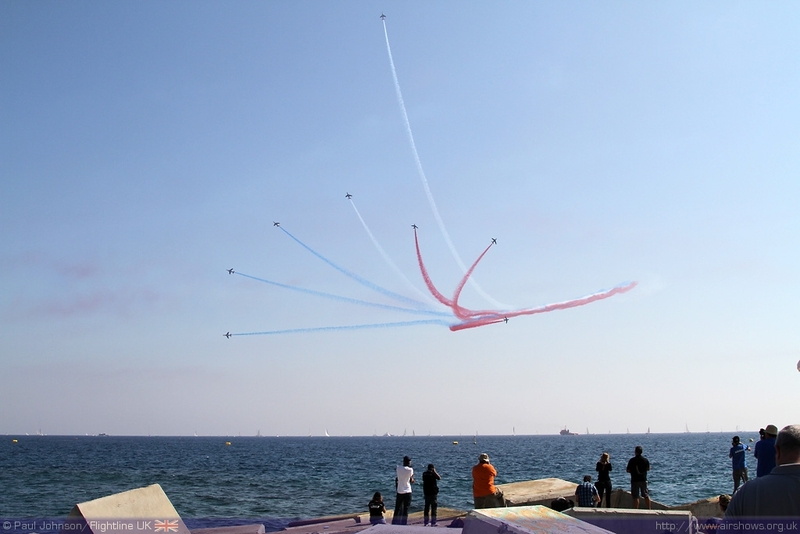 The beaches are hugely popular and get rather crammed – there were an estimated 420,000 spectators this year which is an incredible number for a single day event! 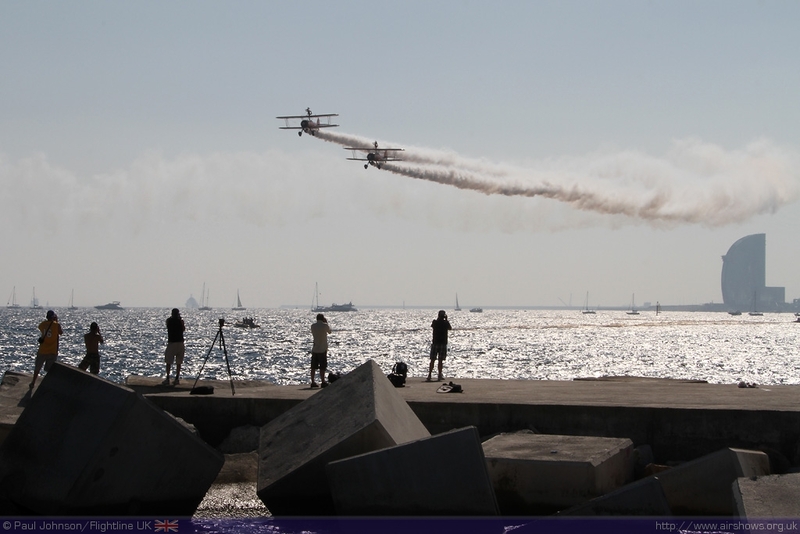 For the more serious enthusiast there is the chance to “win” a place in the “Spotters” area by ballot on one of the two breakwaters in the display box allowing for a privileged view of the flying display which is certainly a welcome and popular addition to the event. 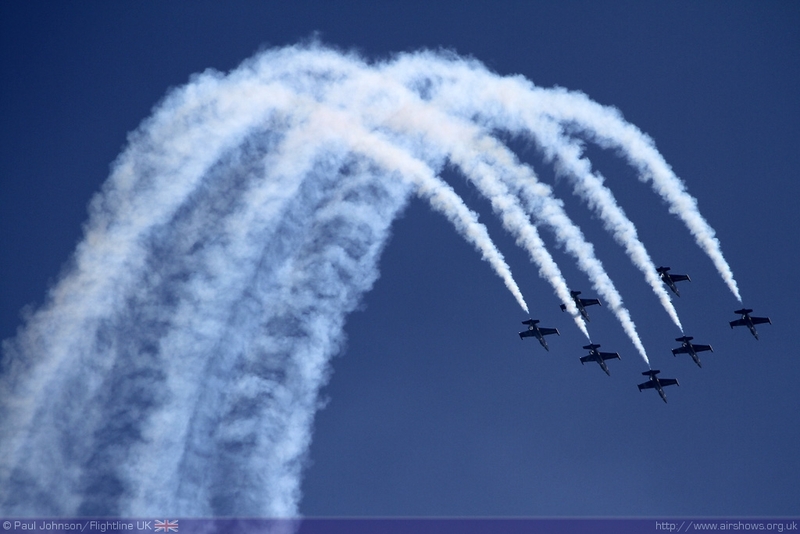 Opening the display was the first of the big jet display teams and also the first contribution from France, the Breitling Jet Team led by Jacques Bothelin. The early part of the display saw virtually no wind whatsoever and the team had to content with midday haze and their smoke simply hanging in the air. Fortunately as the day progressed, the coastal breeze did at least pickup clearing the skies somewhat. 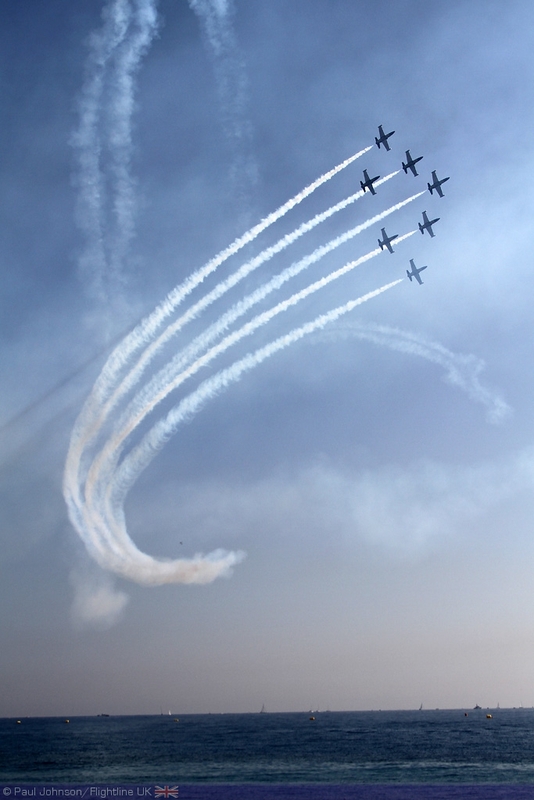 Following on from the Breitling Jet Team were the first of the local displays and one of the first “Carrousels” – a unique feature of Festa al Cel’s flying displays. 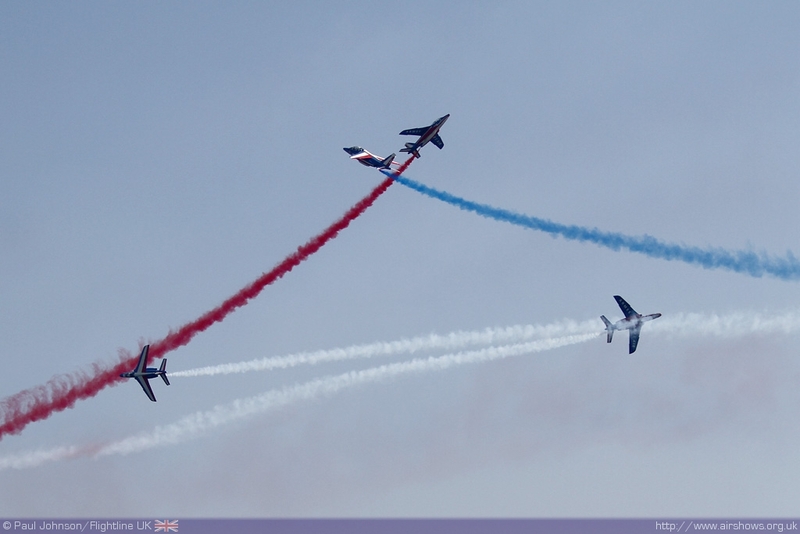 The carrousels are a series of flypasts by aircraft either representing local flying clubs or organisations. 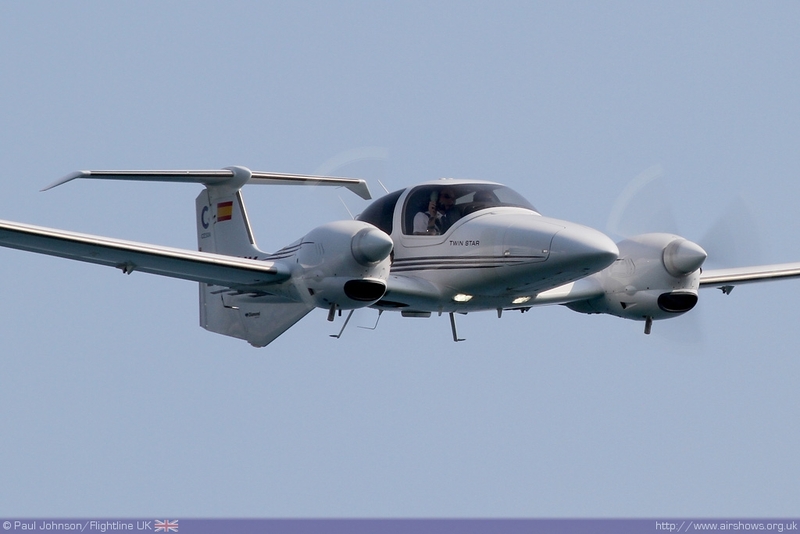 The first to appear represented CESDA, a Reus based professional flying training school who flew two of their modern Diamond DA42 Twin Stars in the show. 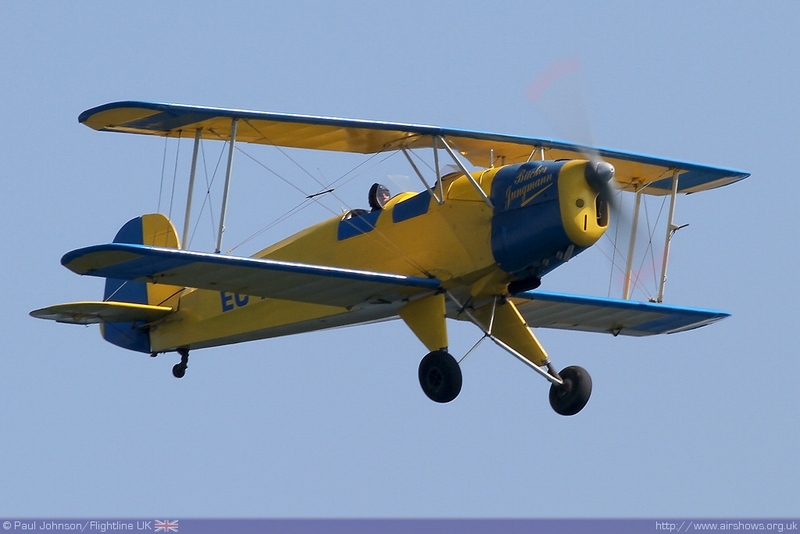 Further Carrousels represented the Aero Club Barcelona-Sabadell (ACBS) and Fundació Parc Aeronàutic de Catalunya (FPAC). 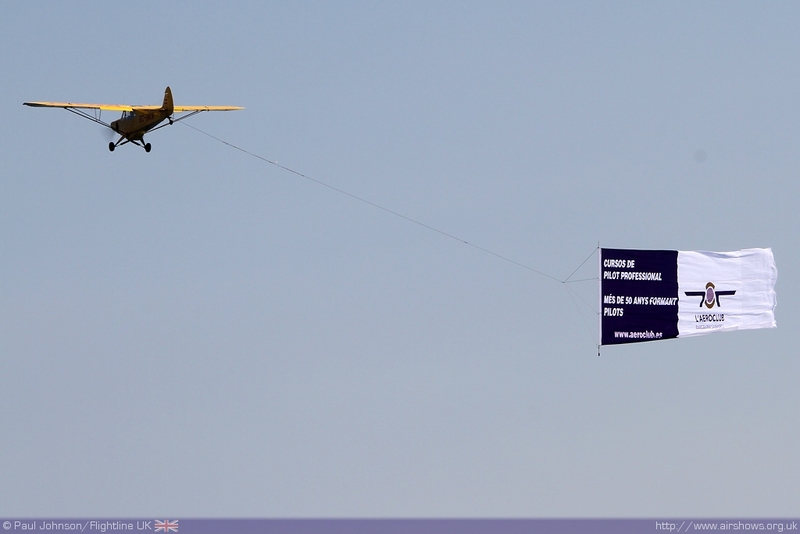 ACBS flew a very varied collection of aircraft during its contribution headed up by a Piper Cub towing a large printed banner flanked by three Robinson R22/44 helicopters. 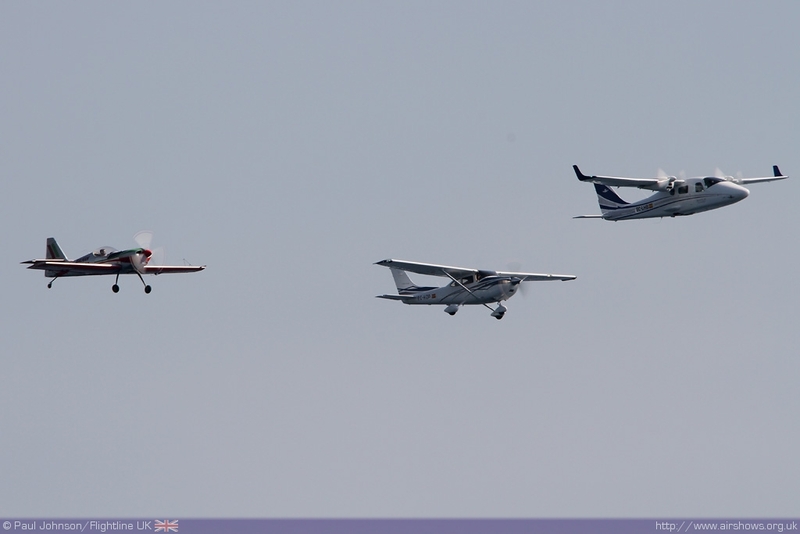 The second wave of ACBS aircraft was another mixed formation which included examples of the Cessna C172, C182, Zlin Z50 and Tecnam P2006T. 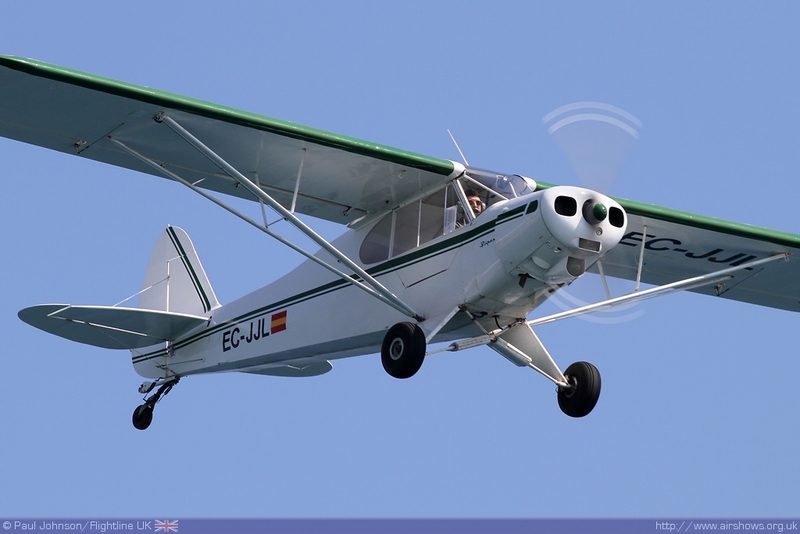 ACBS is the largest flying club in Spain with a very varied selection of types which also included sailplanes. 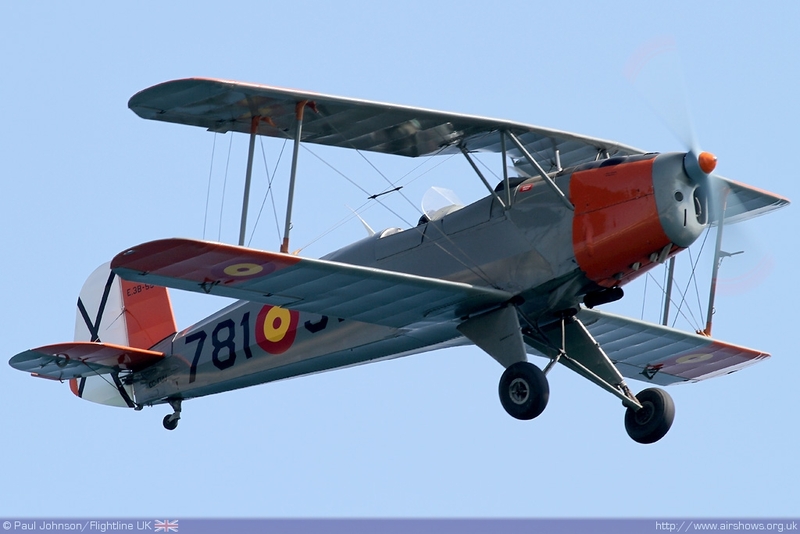 FPAC is a unique organisation which aims to preserve historic aircraft from Spain and Cataluyna. 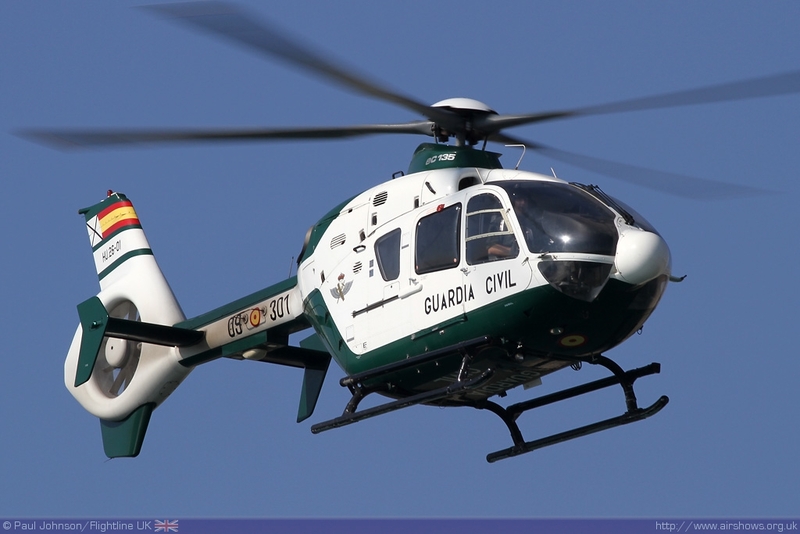 The main organisation is based at Sabadell, though there are other branches based elsewhere. 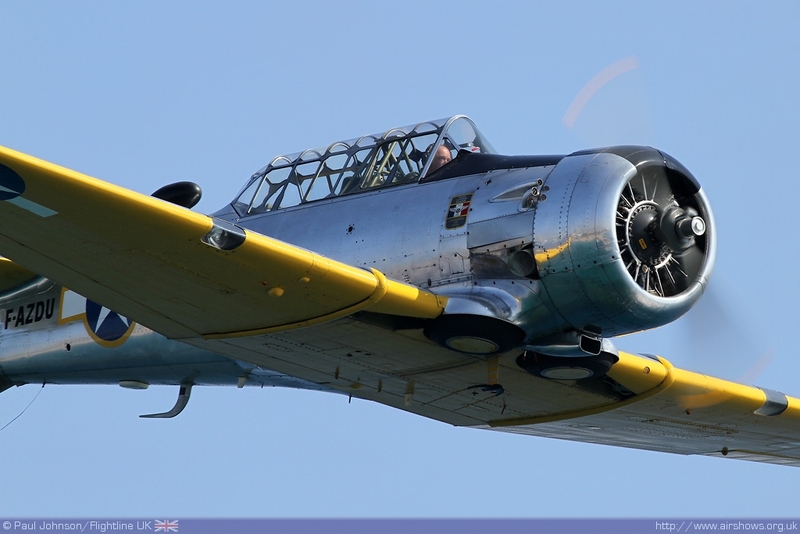 The collection of aircraft under FPAC is very varied and includes everything from the Bucker (CASA) Jungmann through to the Hispano HA200 Super Saeta classic jets. 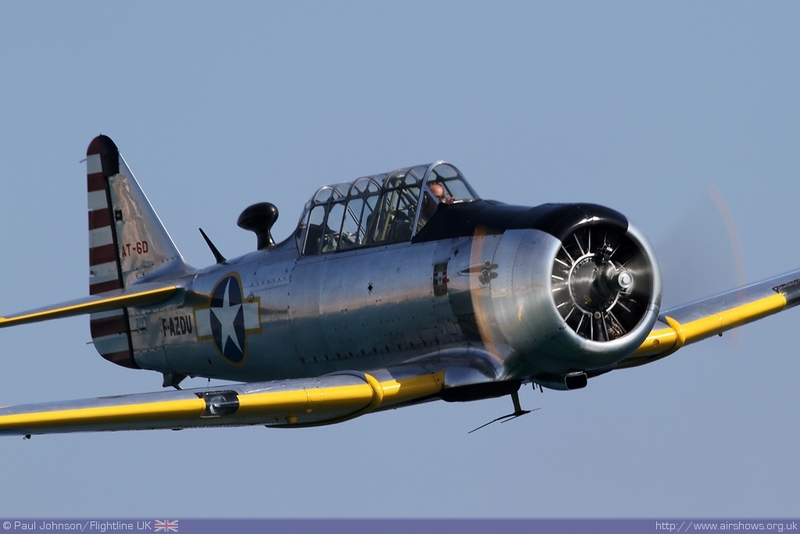 FPAC also looks after several static airframes including a Lockheed T-33A, North American F-86 Sabre and F-4E Phantom II. 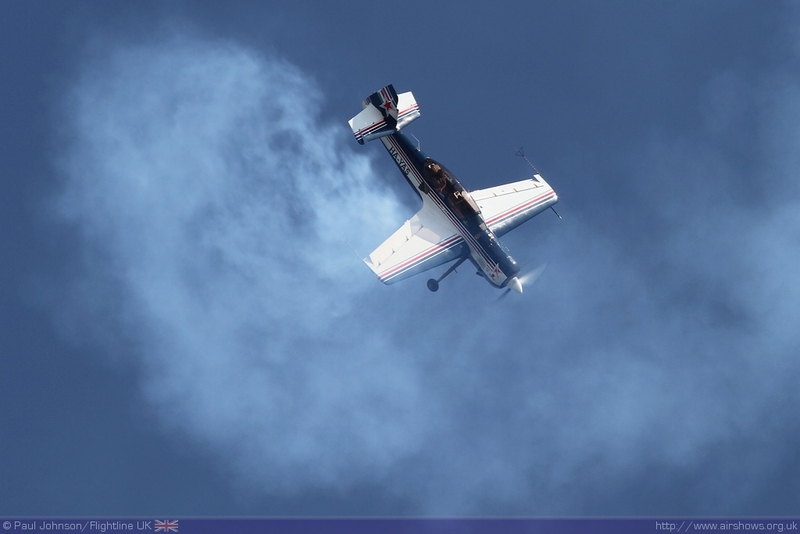 For Festa al Cel, FPAC flew a carrousel of North American T-6 Texan, Piper J3 Cub, Cessna C170B and two Bucker Jungmanns. 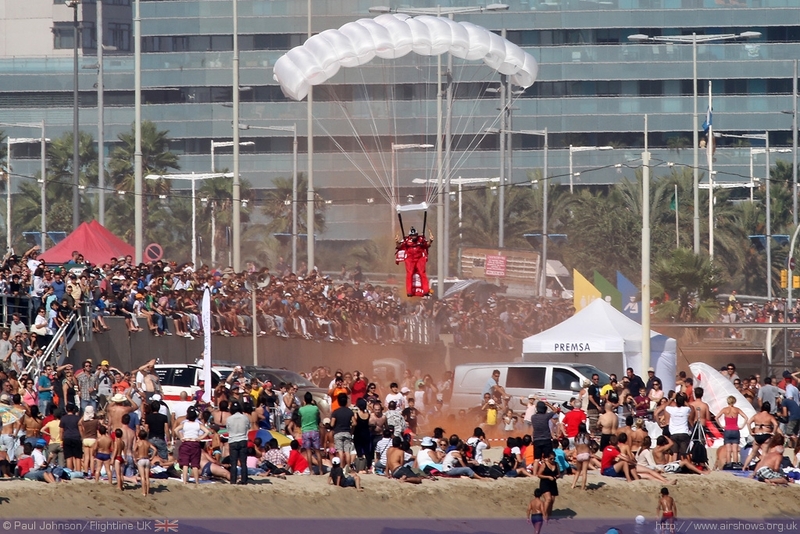 Another ‘out of the ordinary’ act that proved very entertaining were three Paramotors from ‘Paramotor Barcelona.’ The capabilities of the machines meant they were able to take-off and land in front of the crowds on the beaches at very close quarters and the team managed to put on an impressive formation routine! 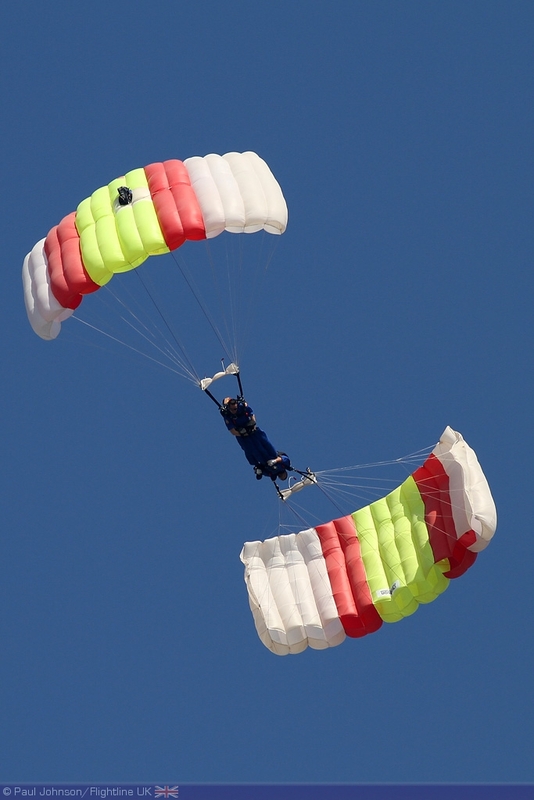 More traditional parachuting also proved very popular with the crowds with two different teams appearing during the afternoon and landing on the beaches. The first was Patrulla Paracaidista del Ejécito del Aire (PAPEA) which is the Spanish Air Force’s own team. 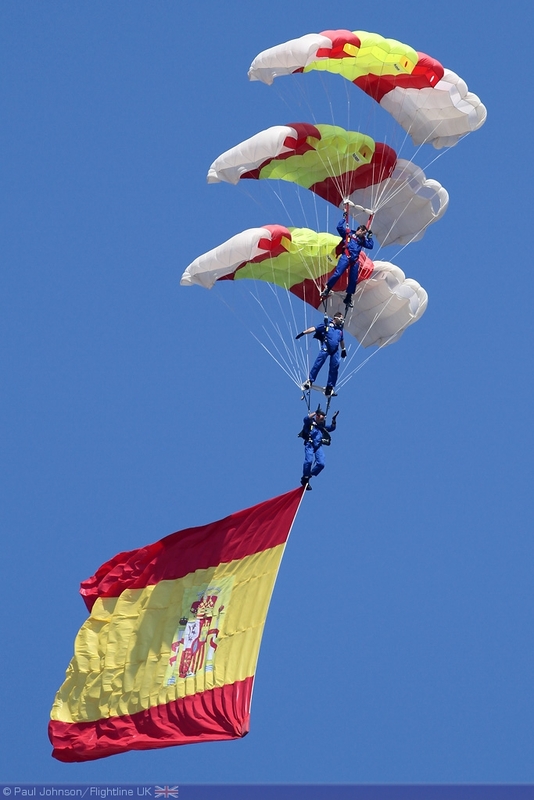 The team jumped from a Spanish Air Force CASA CN235 in two waves performing some superb canopy formations and flying some very large Catalan and Spanish Flags. Much later in the afternoon came Proyecto Ayas team. 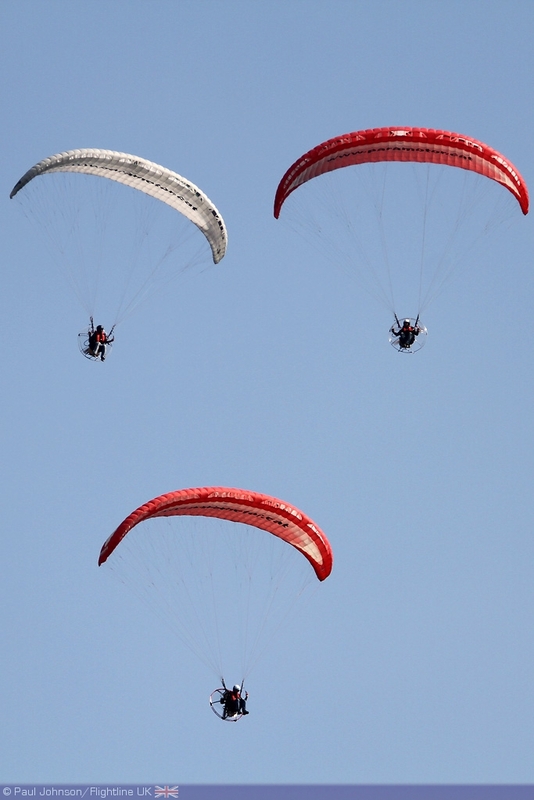 This three man team are actually base jumpers who use ‘wingsuits’ to guide them through the air before releasing their chutes low to the ground! 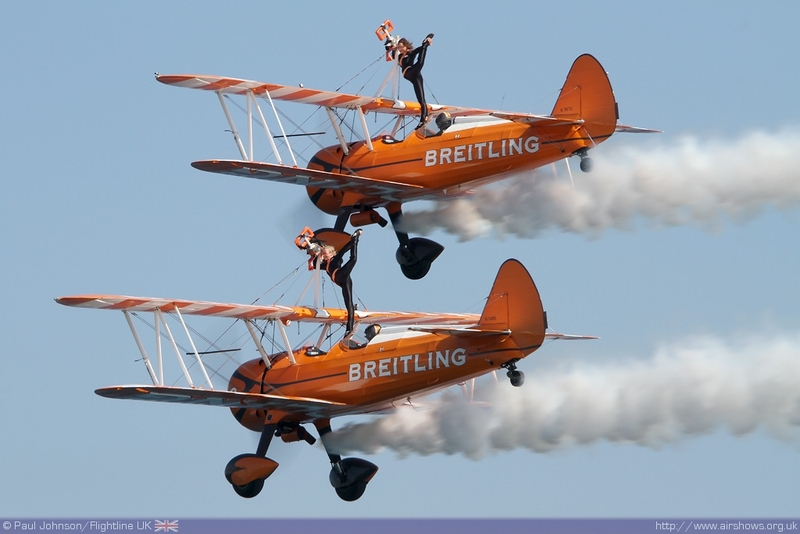 As well as the Jet Team, the Breitling brand was also represented by the Breitling Wingwalkers team and their two Boeing Stearman. The team of Martyn Carrington, Dave Barrel, Danielle Hughes and Charlotte Voce were a very popular addition to the show and certainly made the best use of the display box between the breakwaters! 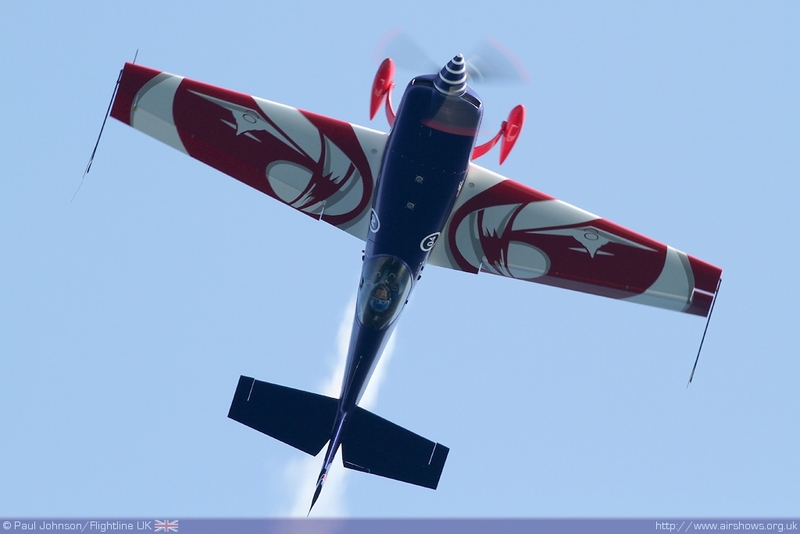 One of the most outstanding features of this year’s show were displays by three of the world’s best aerobatic pilots. 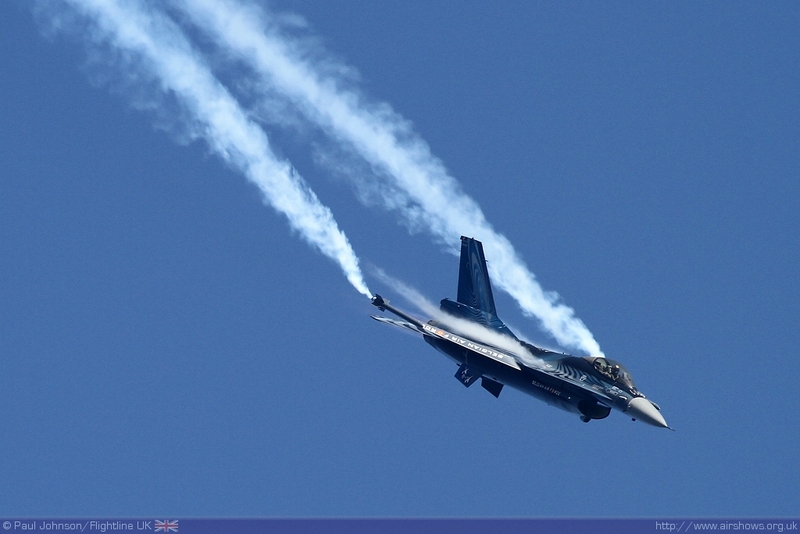 Representing Russia were champion pilots Victor Chmal and Svetlana Kapinina both flying a 400hp Sukhoi Su-29. 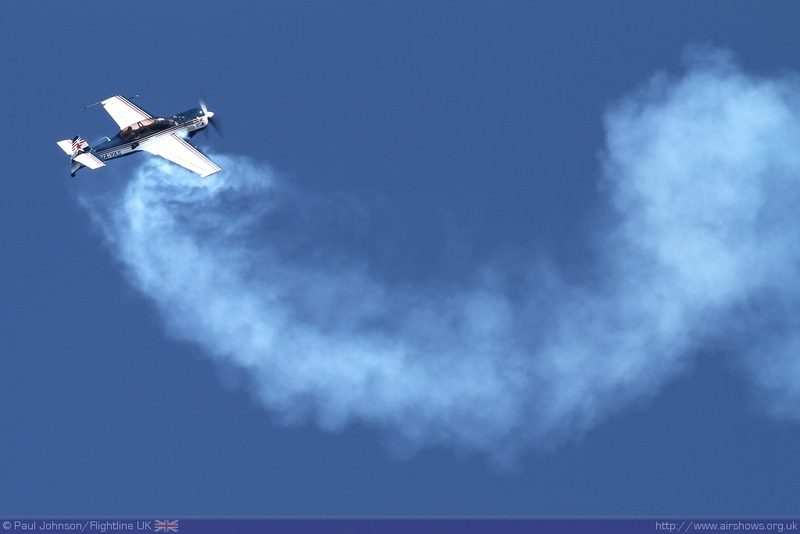 Victor is a World Champion aerobatics pilot receiving 9 FAI medals during his career. 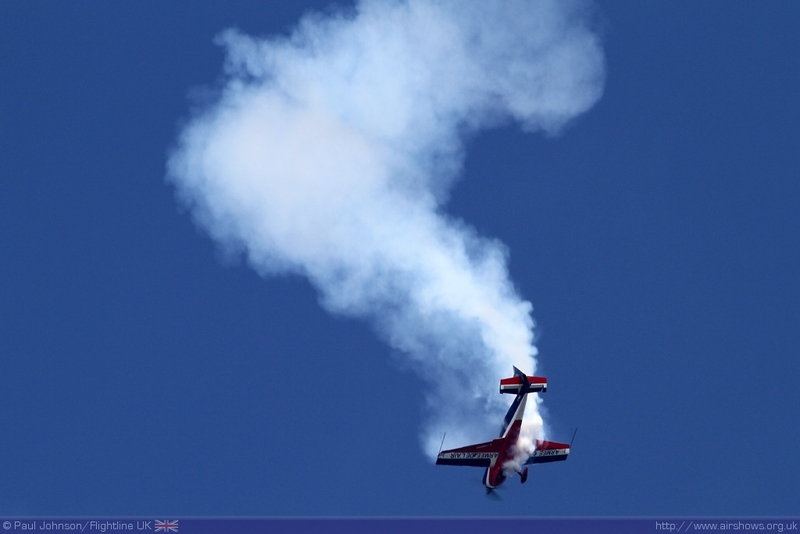 He is also an international aerobatics coach and a test pilot for the legendary Sukhoi Design Bureau. 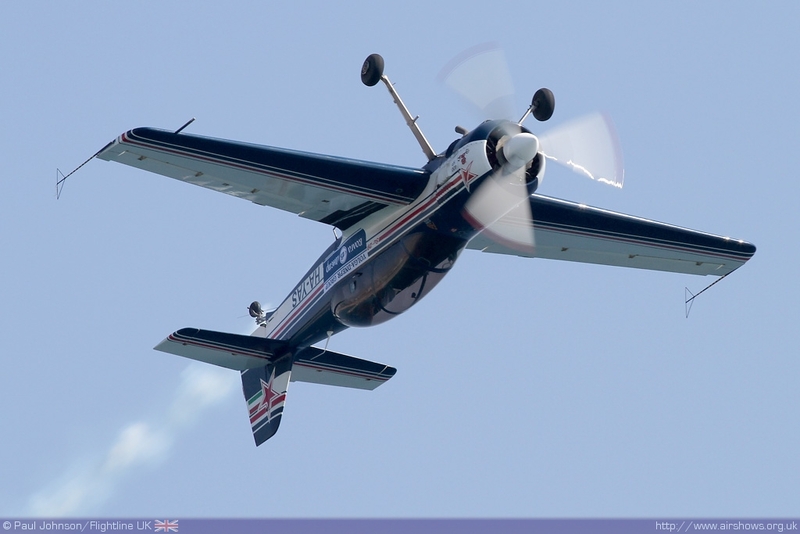 Svetlana is another multiple champion and at the World Aerobatic Championships this year held in Folingo, Italy won Women’s World Champion again finishing fourth overall and helping Russia to scoop the team prize. 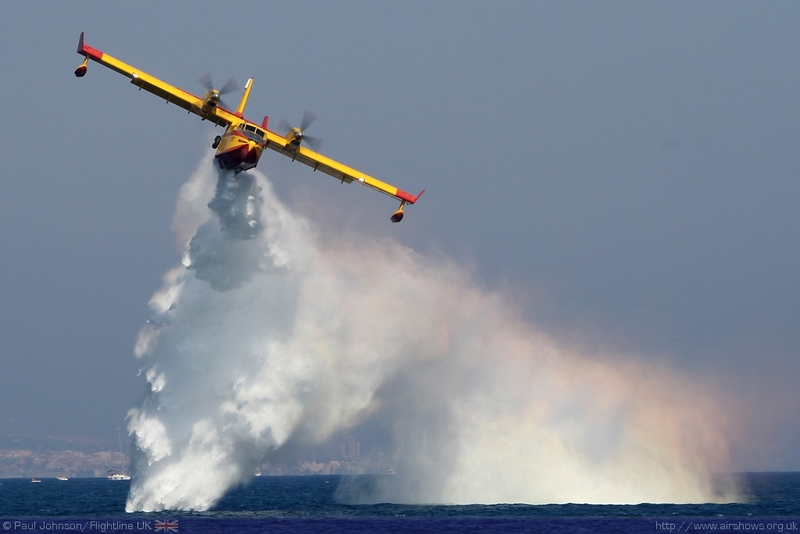 She also received an award from the FAI as “best women pilot of the century!” Svetlana’s appearance was particularly relevant for Barcelona as one of the themes this year was the 100th anniversary of the first flight by a woman over Barcelona. 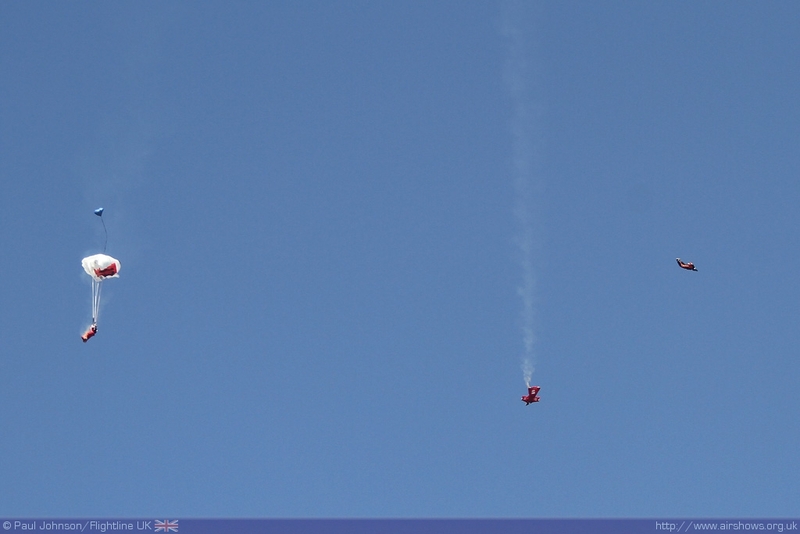 Both Victor and Svetlana put in impressive displays of precision aerobatics with eye-watering gyroscopic tumbles. 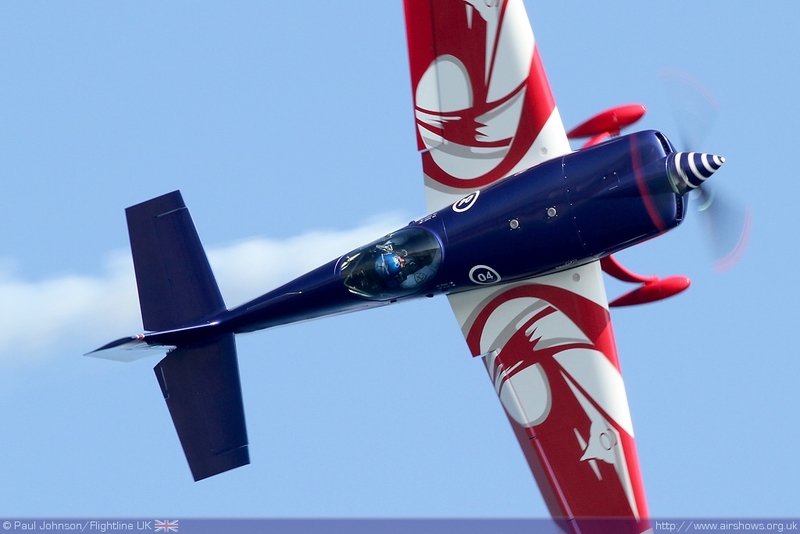 L’Equipe de Voltige, the French Air Force’s own competition aerobatics team also returned this year but with their latest recruit François "Ralloch" Rallet flying one of the team’s distinctive Extra 330SC aircraft. 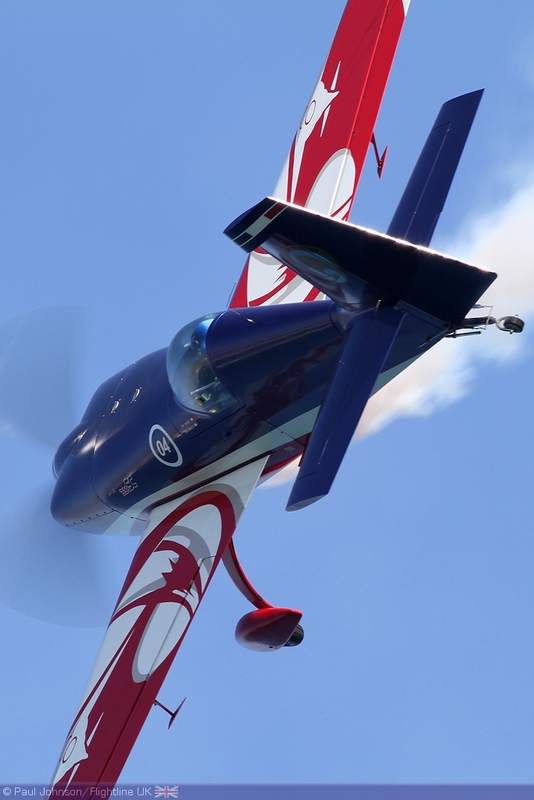 François was this year’s warm-up pilot for the French team at the World Aerobatics Championship and if his display is anything to go by, he will undoubtedly be a contender for future competition success. 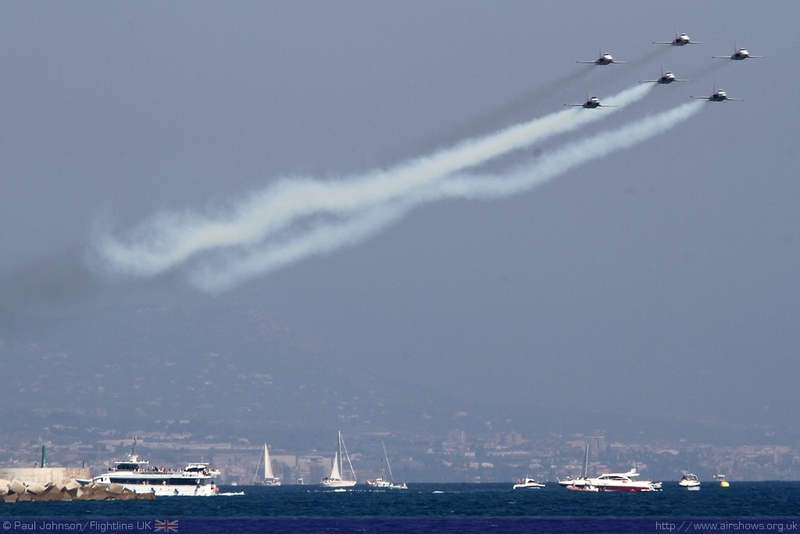 In a way, the appearance of the L’Equipe de Voltige at Barcelona was a poignant one as exactly a year previously, team member and 2009 World Champion Renaud Ecalle was killed along with the rest of his family returning from an airshow in France. 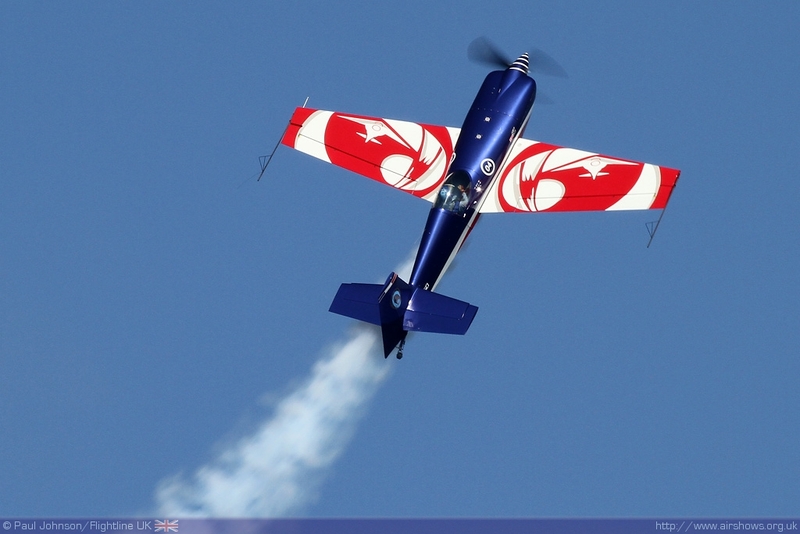 It was a tragedy that was keenly felt across the aerobatics and airshow world. 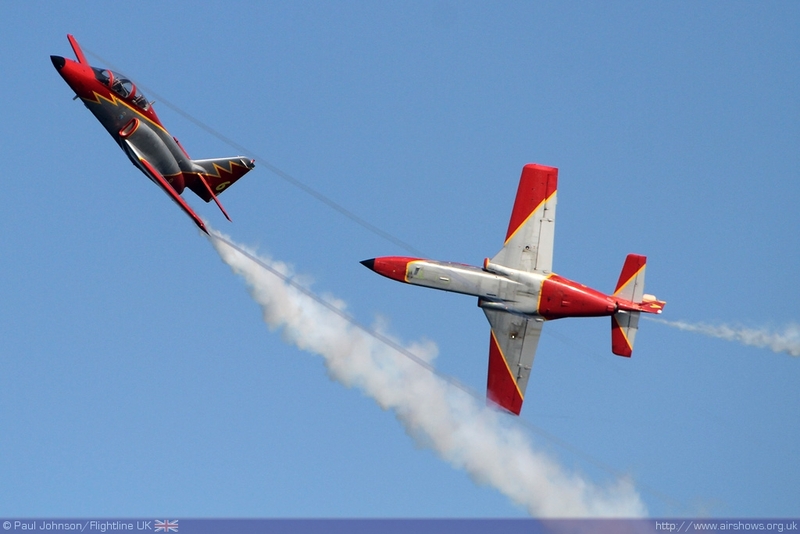 In complete contrast to the aerobatic displays were appearances by two Airbus A320s from two of Spain’s airlines. 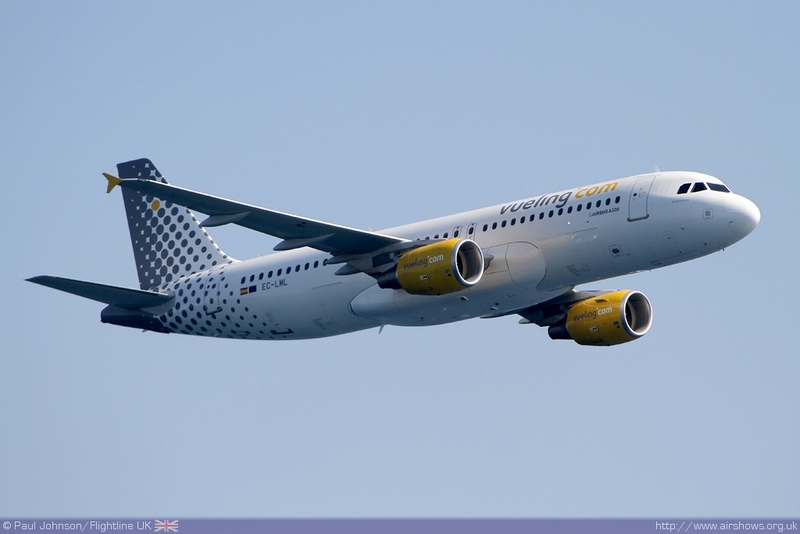 First to appear was an example from Vueling, one of a new generation of low cost airlines which serves destinations across Europe. 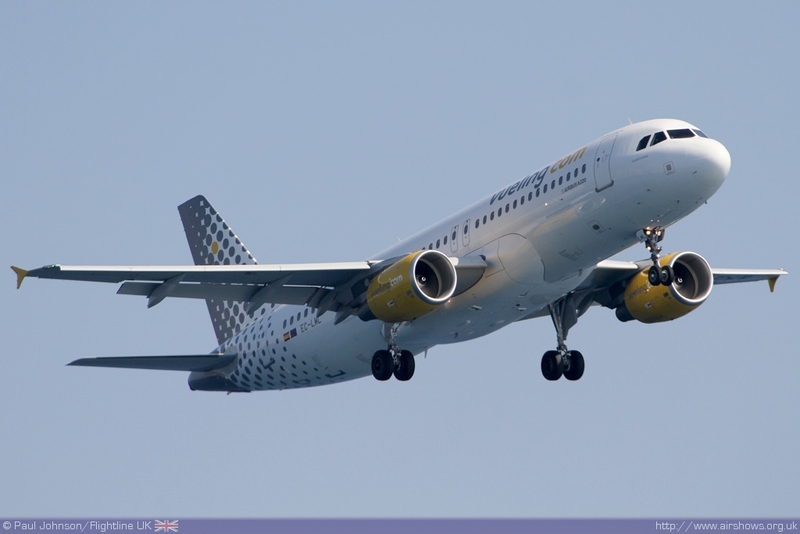 The Vueling example flew a number of circuits of the show box bringing the A320 close in the crowd. 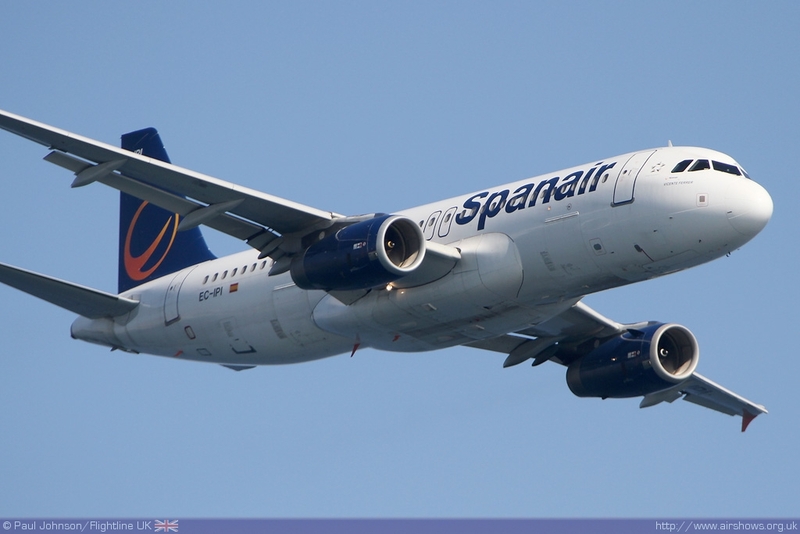 The other A320 came from Spanair, one of the events key sponsors. 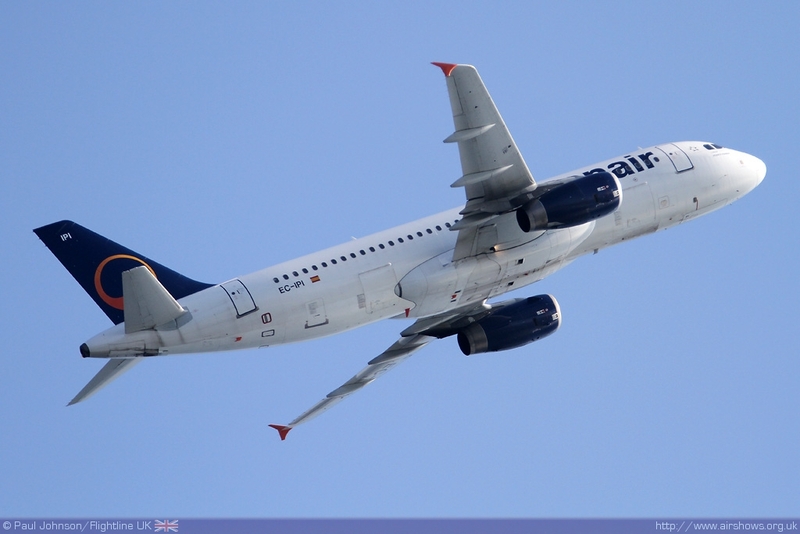 The Spanair A320 put in much more a ‘display’ flying some very steep turns in various configurations. 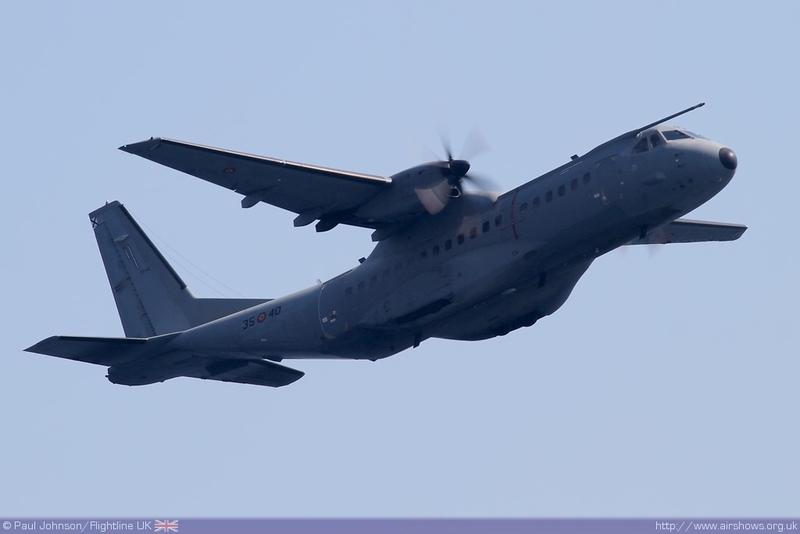 Seeing big airliners displayed is something that seems quite rare these days away from Trade shows but they are certainly impressive additions to any flying display. 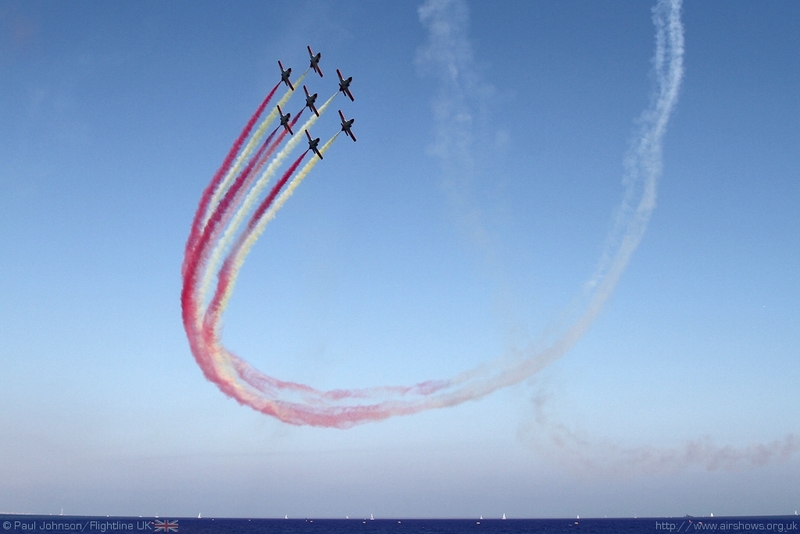 Despite cutbacks across Europe, Barcelona hosted an impressive array of military displays from both home and abroad. 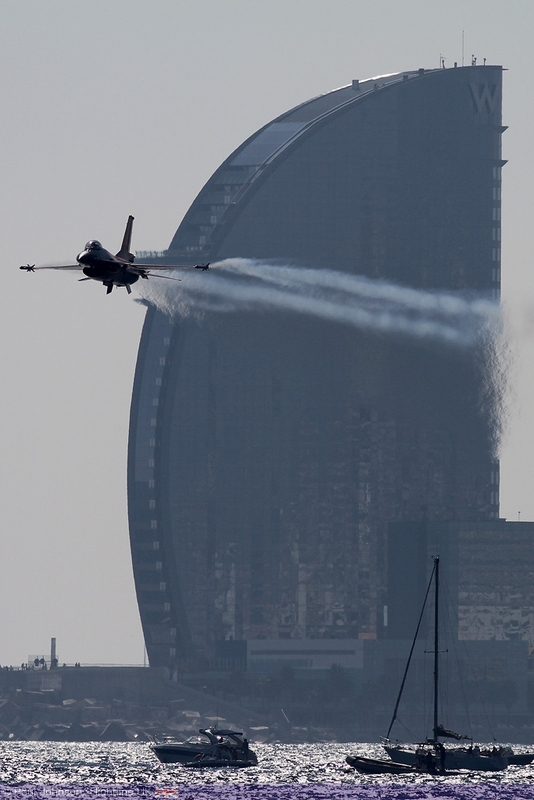 The Spanish Air Force contributed two very different and impressive displays. 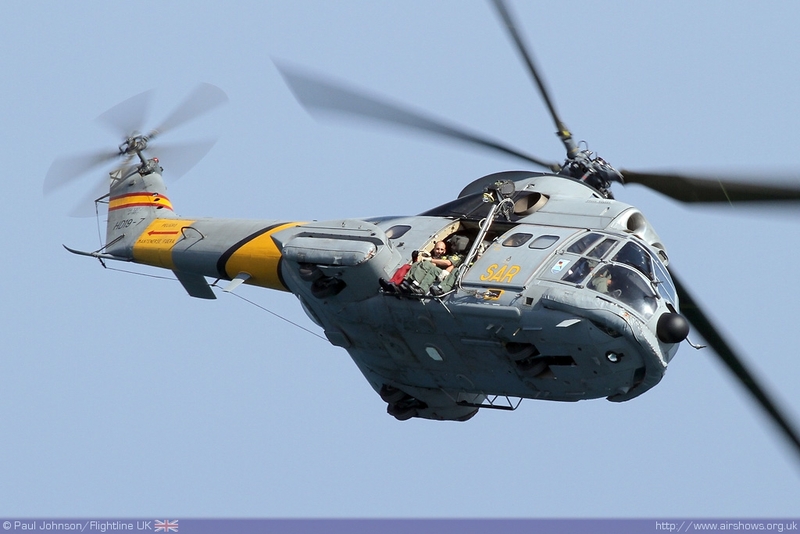 The first was a display by an Aérospatiale SA330 Puma from 801 Squadron. 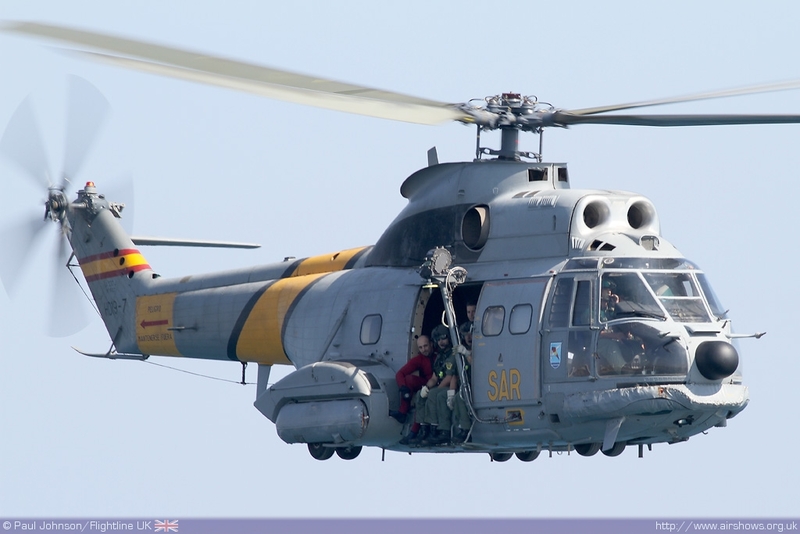 Based at Palma de Mallorca this squadron provides Maritime Search and Rescue over the Mediterranean. 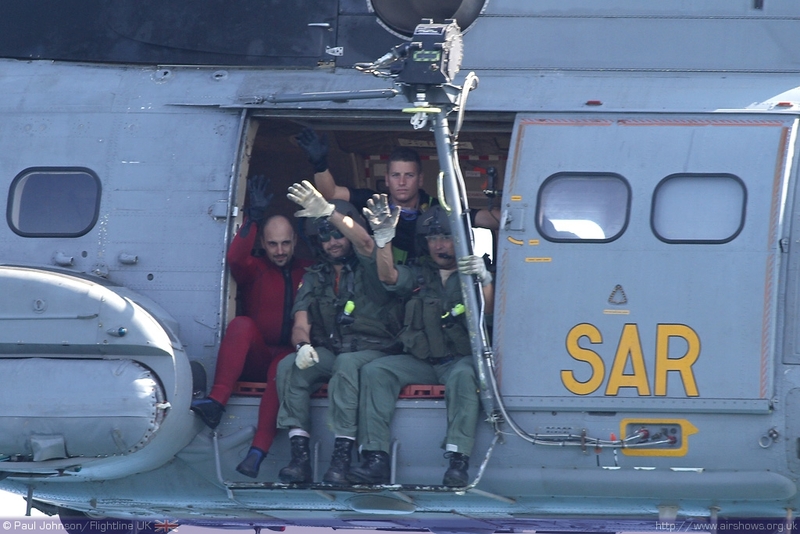 The Puma’s pilot was clearly enjoying the Search and Rescue demonstration. 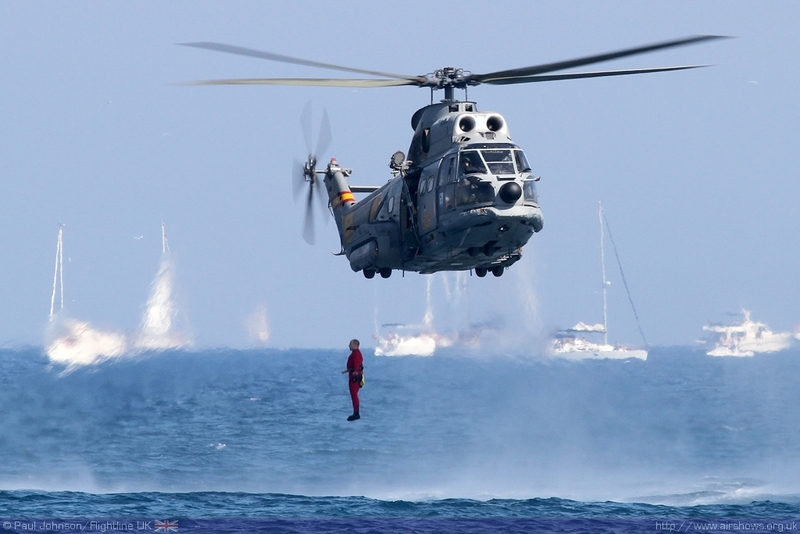 Not only did the aircraft throw a diver into the sea before the winch-man performed a rescue, but the pilot showed off some of the Puma’s impressive agility through some very rapid spot turns and flamboyant bows to the VIP area! 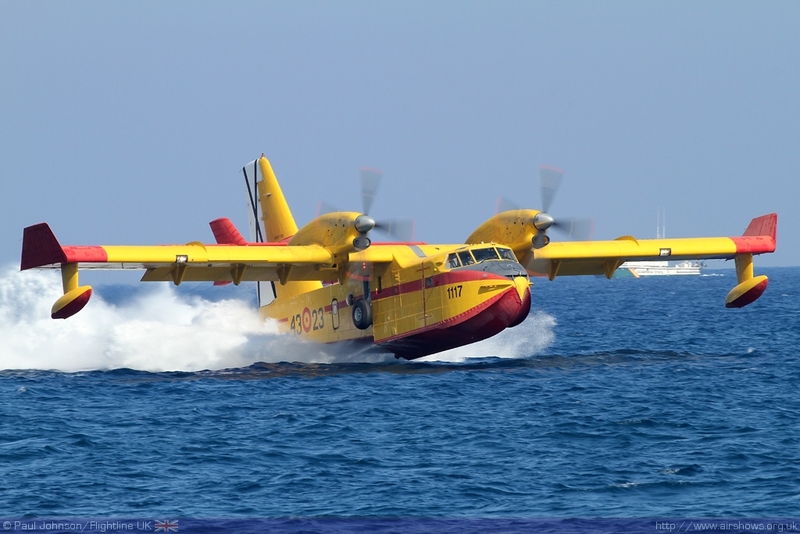 Perhaps the most impressive sight of the afternoon though was a Spanish Air Force Canadair CL-215T ‘Botijo’ from Grupo 43. 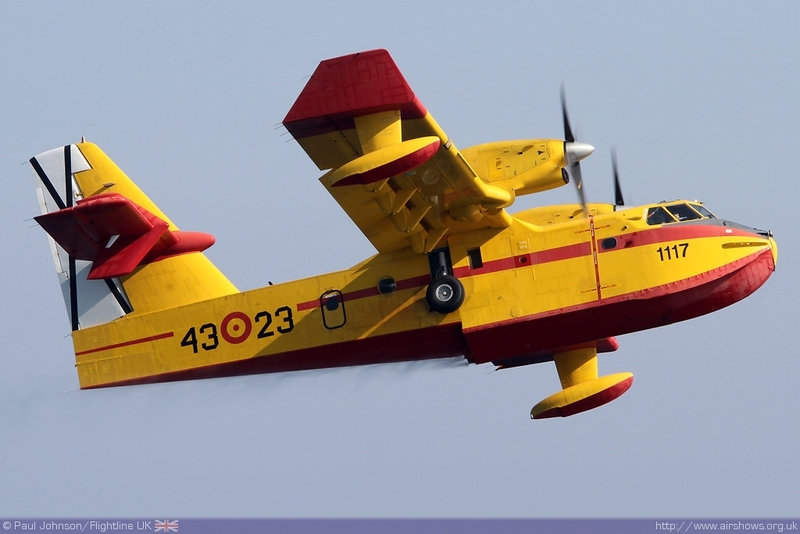 These distinctive aircraft based at Torréjon fight bushfires across Spain. 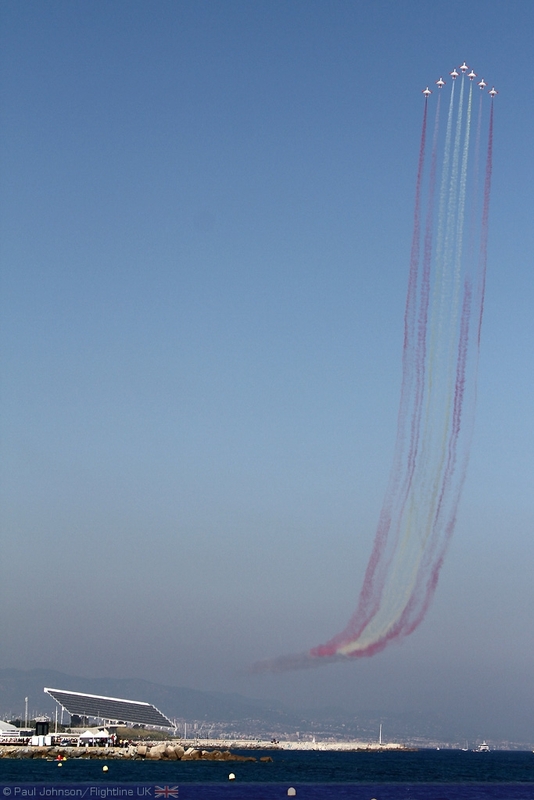 For the display, the aircraft flew no less than three waterdrops as well as two water pick-up landings for the crowd even creating its rainbow in the sky at one point! 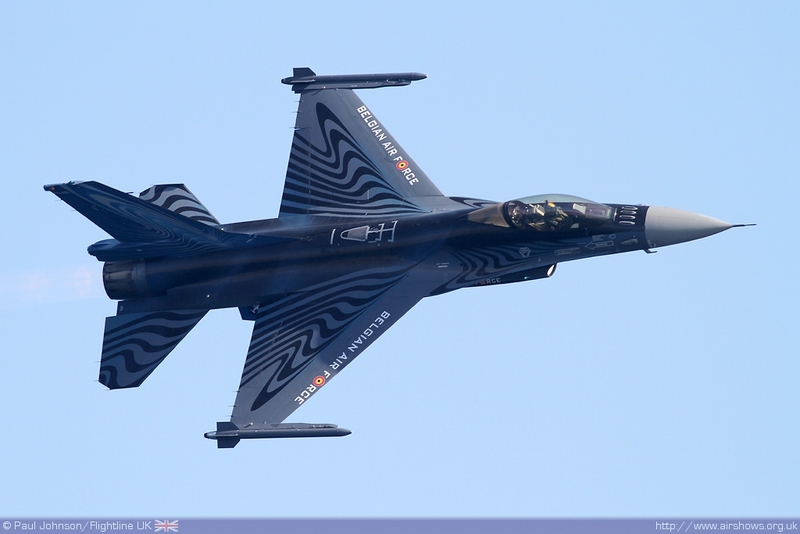 There were no Spanish fast jets in the flying, but there were the two colourful F-16AM Fighting Falcons from the Belgian Air Component and the Royal Netherlands Air Force to provide some thunder over Barcelona. 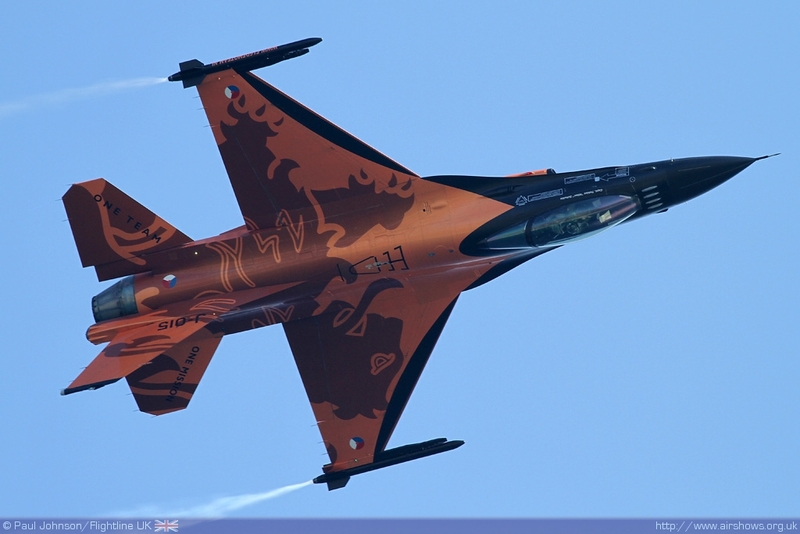 It was the Dutch F-16 Demo Team’s last show of the year, and the last for the Leeuwarden based Tobias ‘Hitec’ Schutte from 323 Squadron. 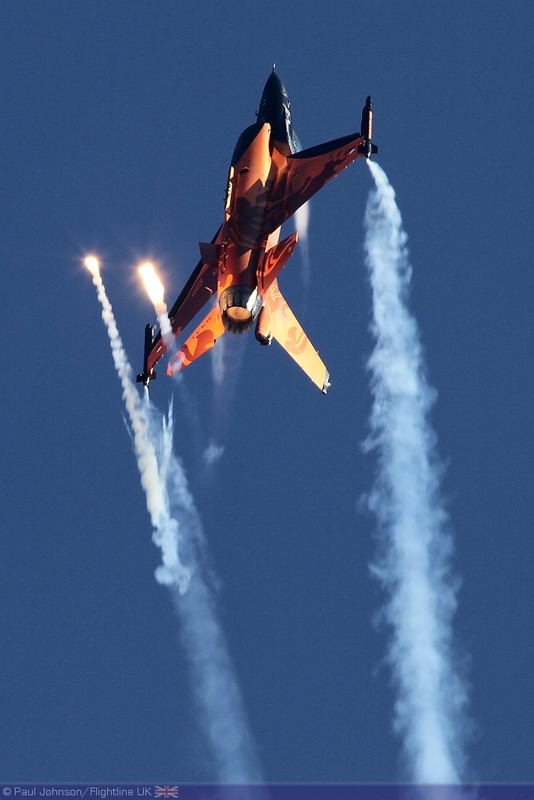 Tobias put on an impressive display making superb use of flares particularly at the end of his display to mark his final public performance before the Volkel based squadrons pick up the responsibility of the demo team next year. 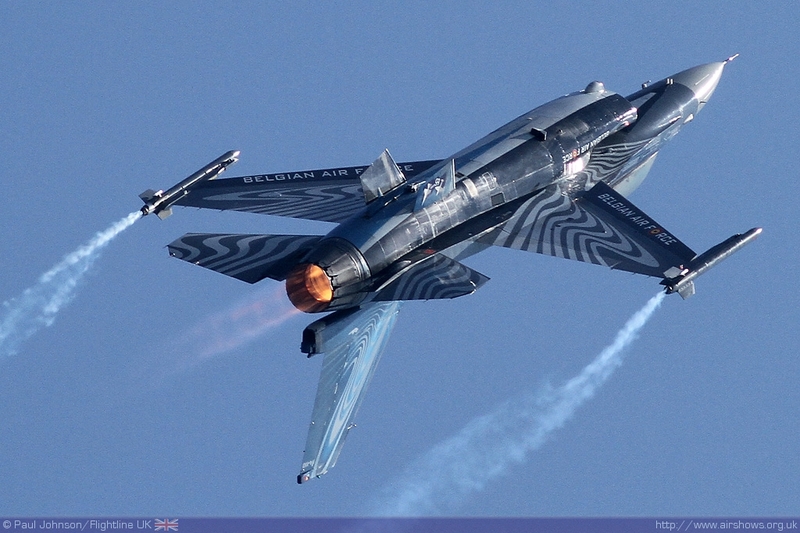 Michel ‘Mitch’ Buelen is also in his final year of displaying the F-16 for the Belgian Air Component. His display has won many awards across Europe and his display at Barcelona was as impressive as ever. 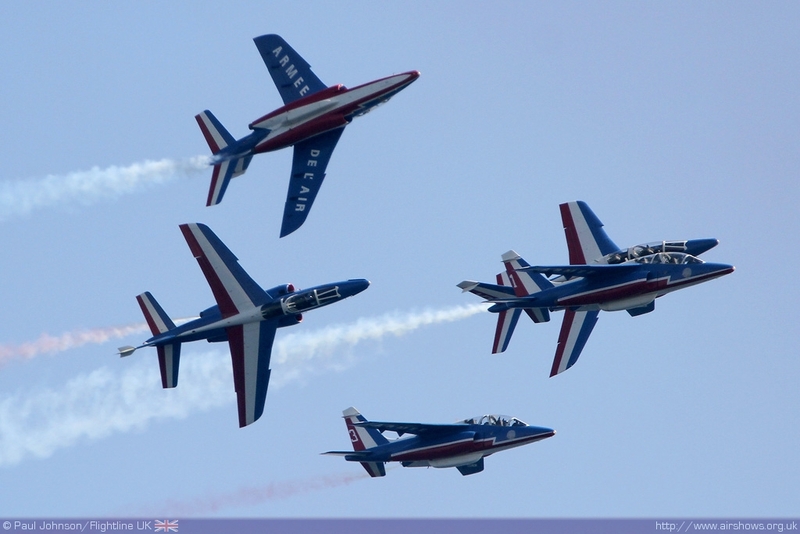 Further French Air Force participation came from their national display team, La Patrouille de France with their eight Dassault Alpha Jets. 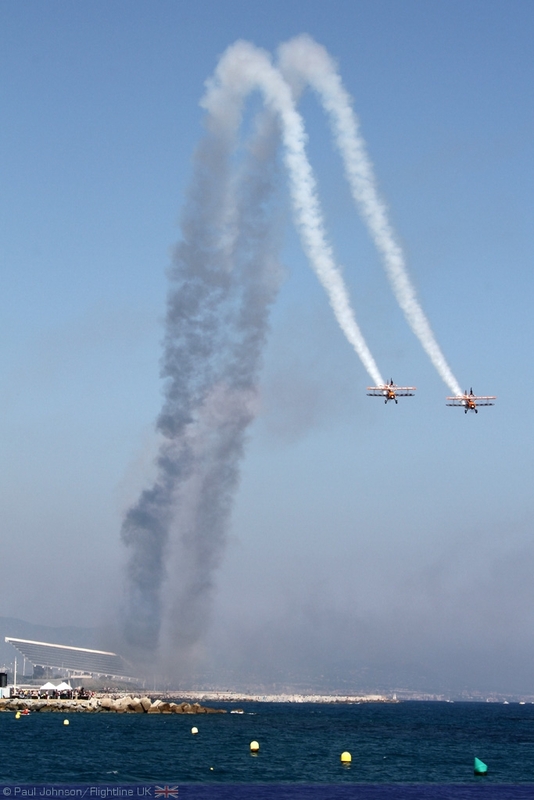 The team were making their second successive appearance at Barcelona and they were able to perform their wonderful full display under the clear blue Spanish skies. 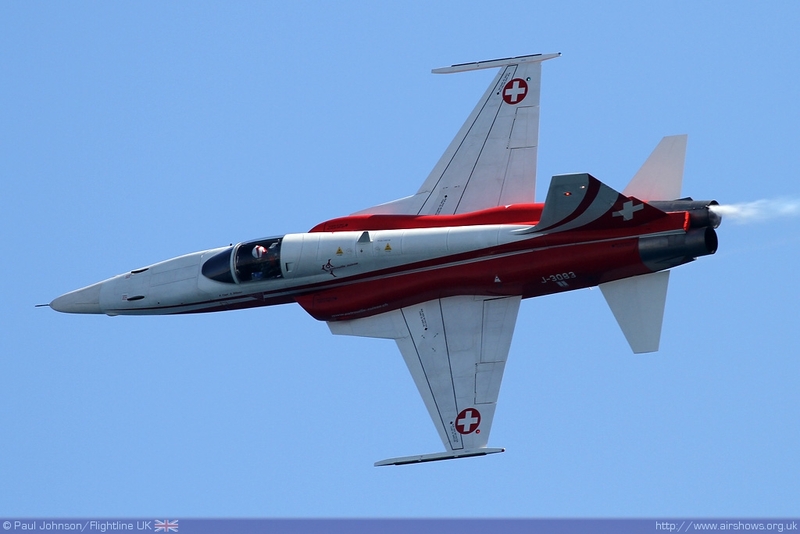 A very welcome addition to the display were the six Northrop F-5E Tiger IIs of Patrouille Suisse. The team were back in Barcelona after an eight year gap. 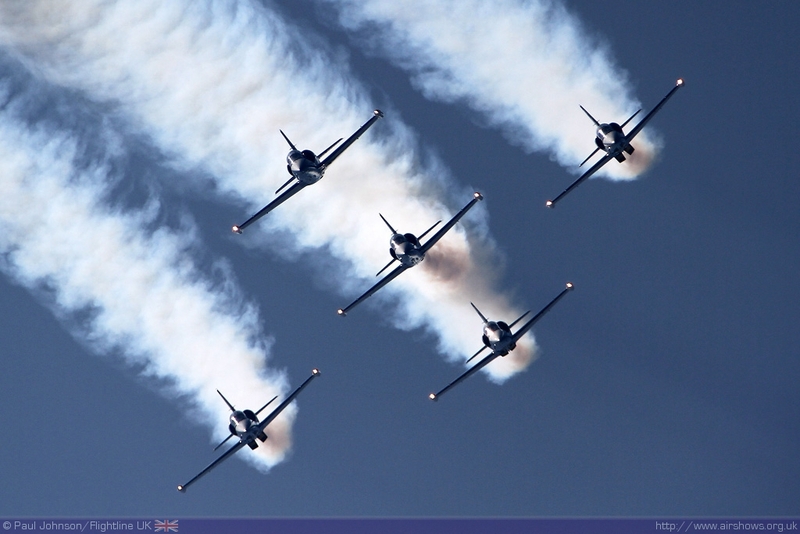 Lead by Daniel Hösli, the team make an impressive spectacle with the noisy fast moving F-5s flying some very tight and precise formations. 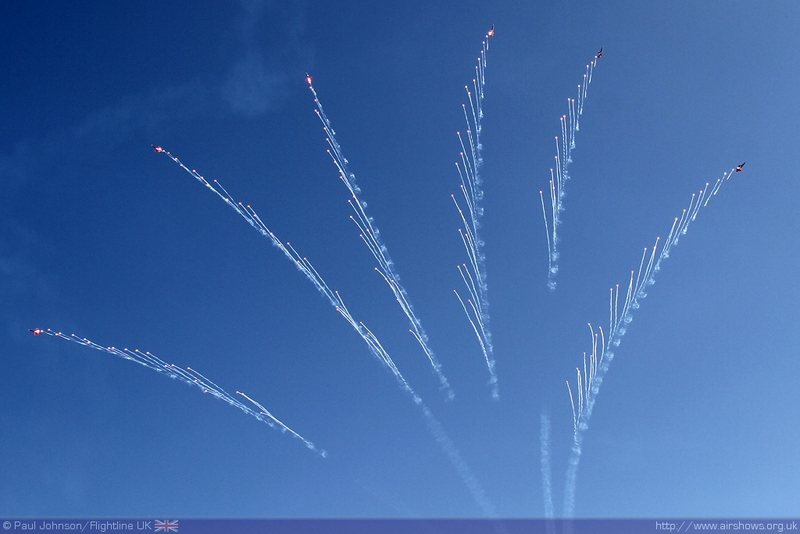 But it is their flare-firing finale that really captured the attention of the crowds and the photographers! 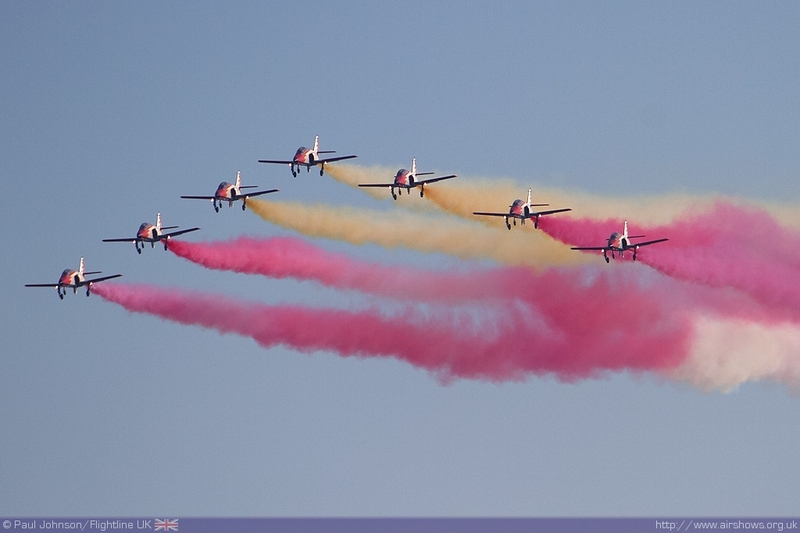 Closing the event were Spain’s own national aerobatic display team, La Patrulla Aguila. 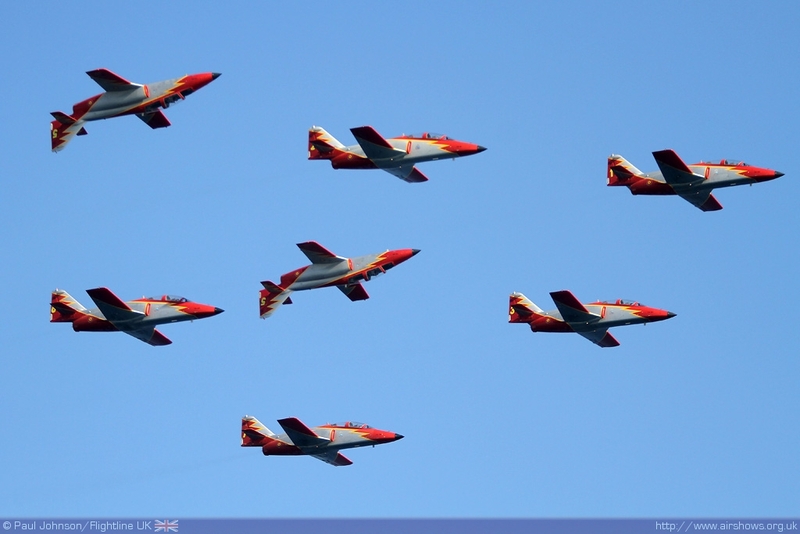 The team based at the San Javier Air Academy are much loved in their home country with a strong supporters club. 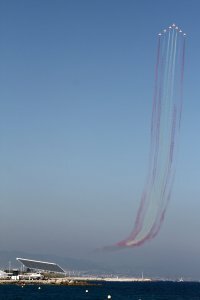 For their display at Barcelona, the team used much more coloured smoke that they do for overseas appearances painting the national colours in the deep blue late afternoon skies. 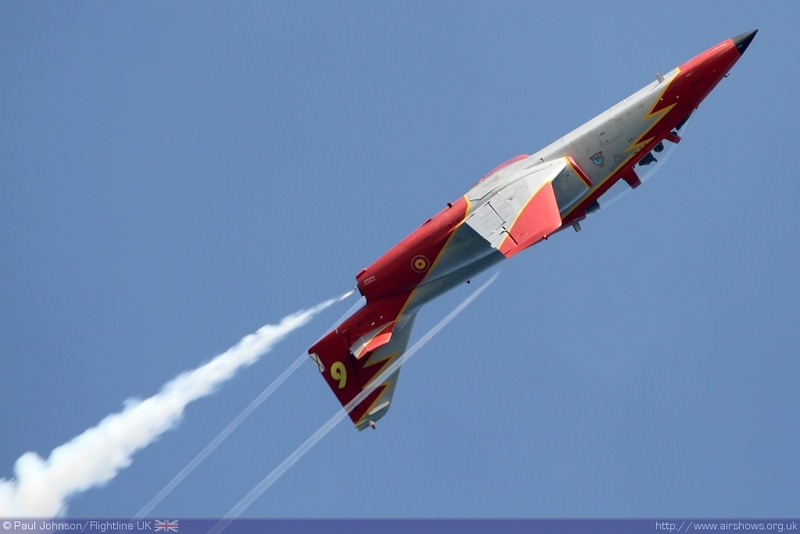 Despite the CASA C101 Aviojets being relatively underpowered the team always put on an impressive display of their flying skills with the mirror formations, close crosses and the soloist’s tailslide being amongst the many highlights of their routine. 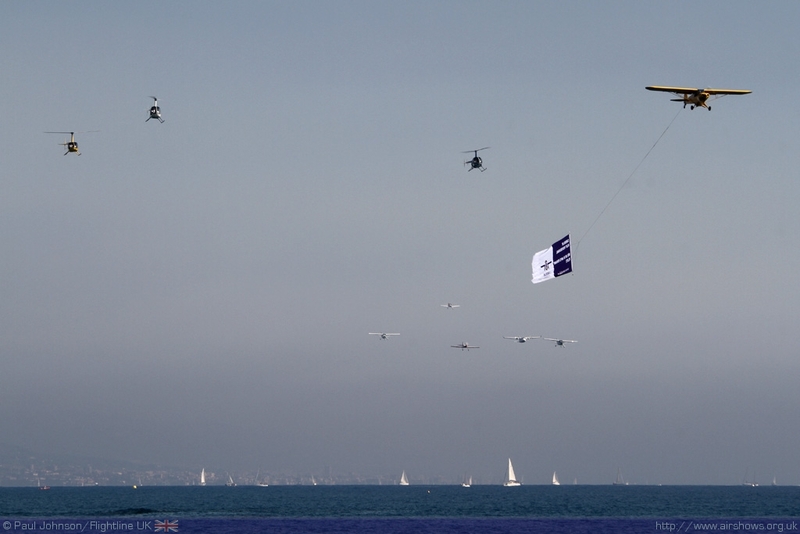 Their closing manoeuvre, an on-crowd break took the team into a flypast over Barcelona to conclude an outstanding event. Festa al Cel 2011 was a very special event. 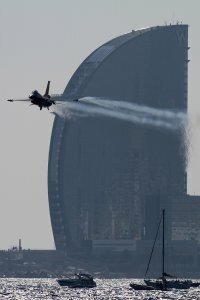 It may have only been a four hour flying display, but few other shows manage to capture the variety seen over Barcelona with some truly amazing displays. 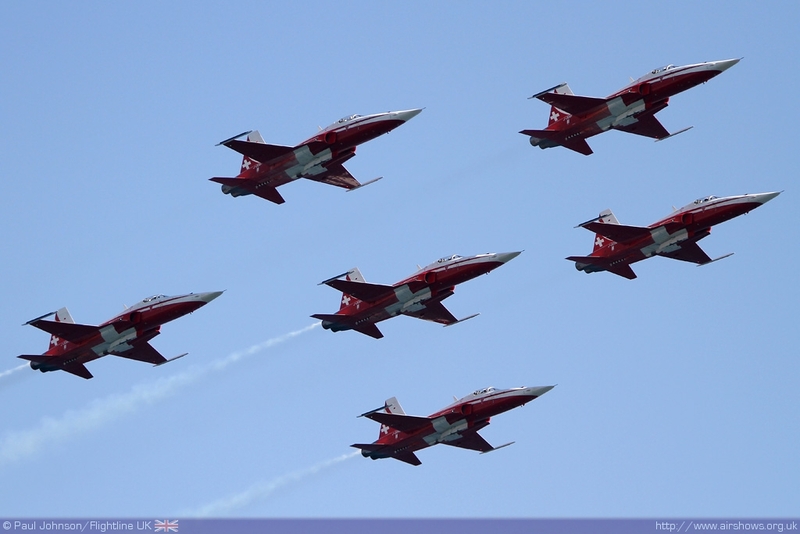 If you are looking for something a little different in 2012, then put 29th-30th September in your diary now!